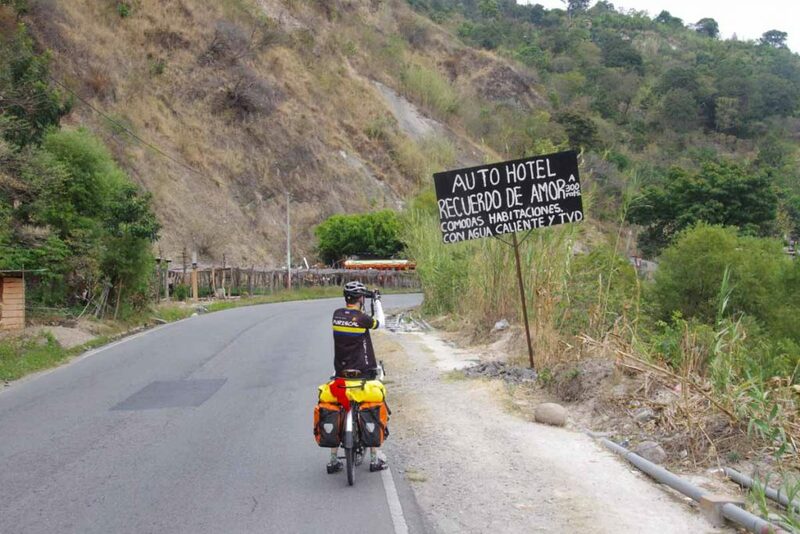 Two days cycling have brought us from the border to highlands of Guatemala. 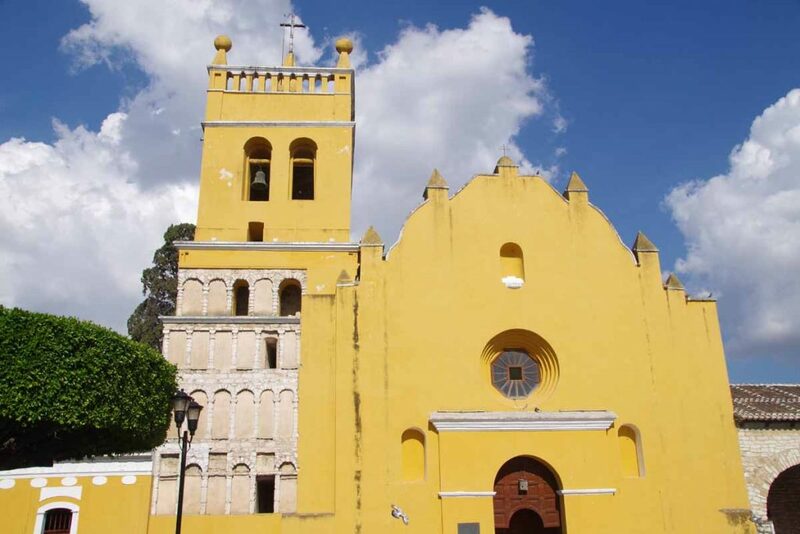 Sign above tell us Guatemala is the land of eternal spring. 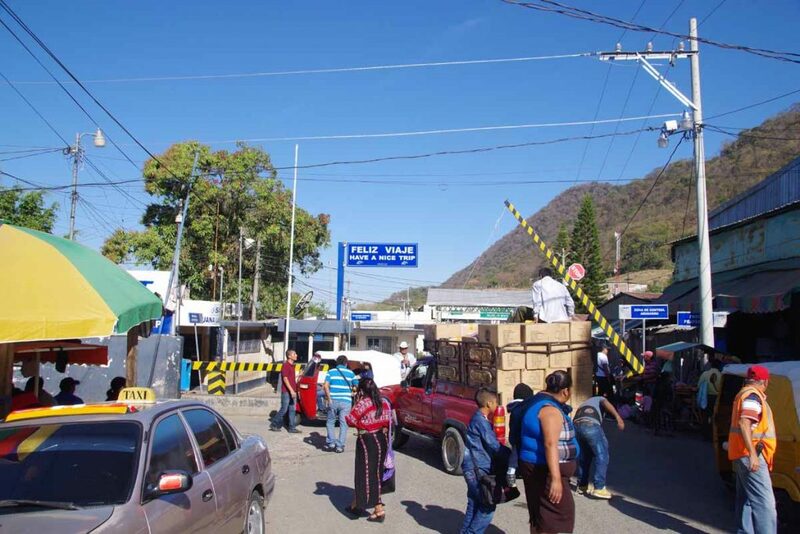 In comparison to Mexico, Guatamala seems a bit more hectic including behavior of drivers on the road. Kids will sometimes yell “Gringo! Gringo!” as we pass. 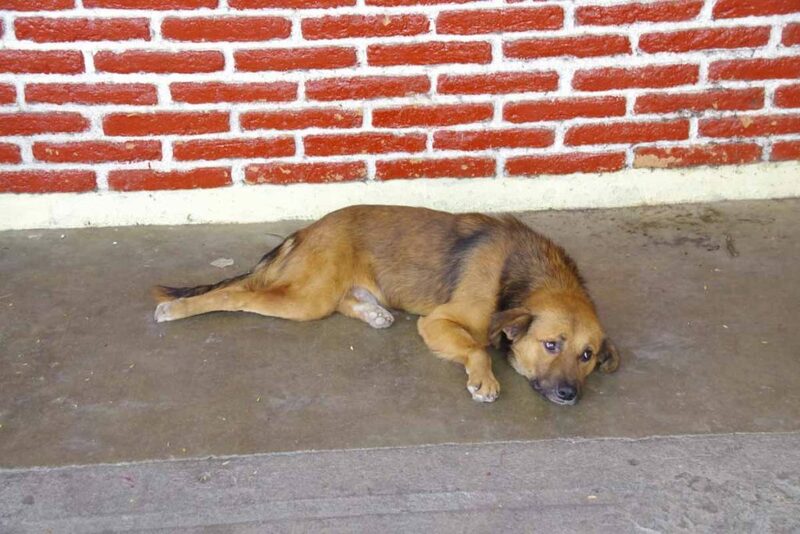 In Mexico, people were polite and friendly, but also wouldn’t call attention to us – or seem overly interested. 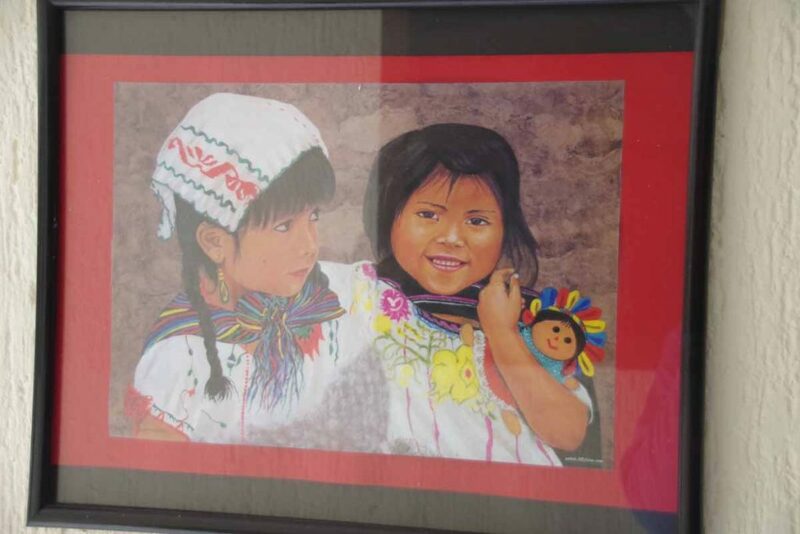 In Guatemala, people are also friendly, but seems like we’re calling a bit more attention to ourselves. Otherwise, so far cycling seems similar. Started out our day going to the immigration office. The officer there wouldn’t place an exit stamp in the passport – unless we either had a receipt for our FMM or paid an extra $500 pesos. 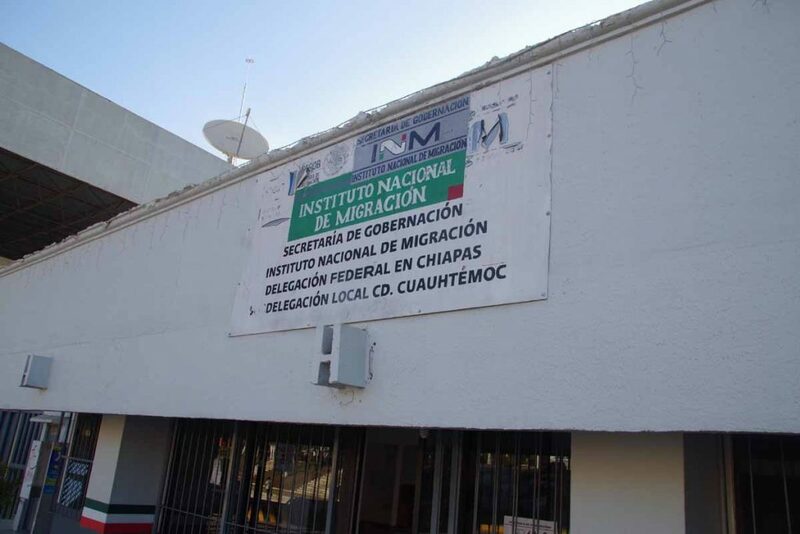 Seems like a bit of a scam to me – since I already paid $380 pesos for the FMM back in Tecate – but no longer had the receipt (don’t remember if they took it when they stamped the FMM or I threw it away). Better safe than sorry, ended up paying to leave Mexico but with a bit of a sour taste that didn’t feel right. The other curiosity I noticed is that I could have entered and left Mexico without ever getting a passport stamp for either entry or exit. 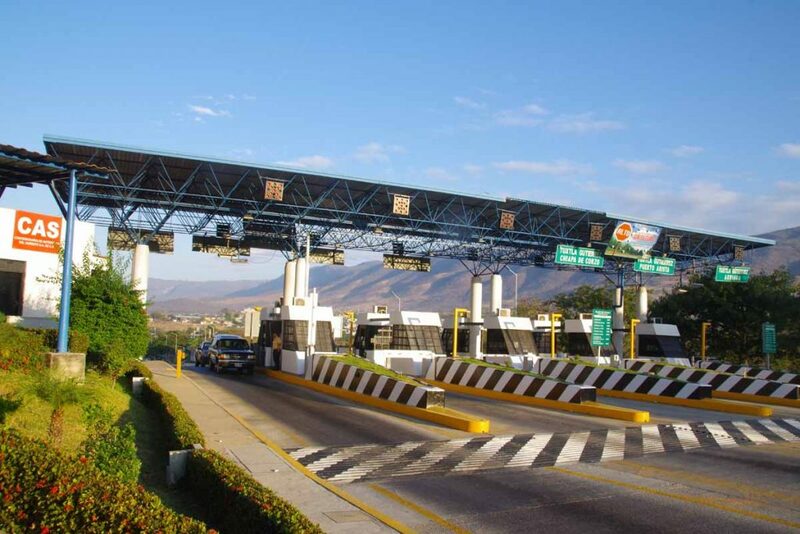 In Tecate, they would have let me cross the border without checking (assuming I was a day tripper?) and leaving Mexico – nobody checked either and I could have left without a stamp. After getting the stamp, we had a four kilometer climb through no mans land. Here was another sign indicating 30x daily salary for littering. 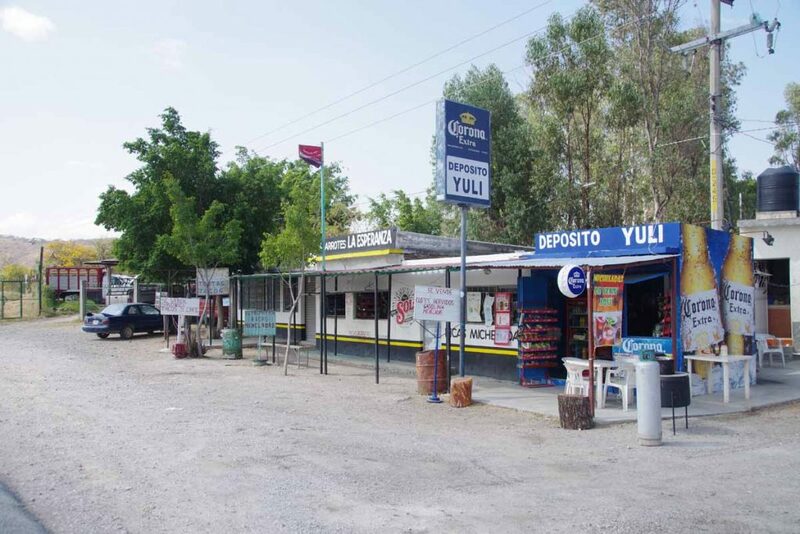 The last kilometer before the border were a bunch of small shops. After that the intermediate border zone. A money changer approached me. 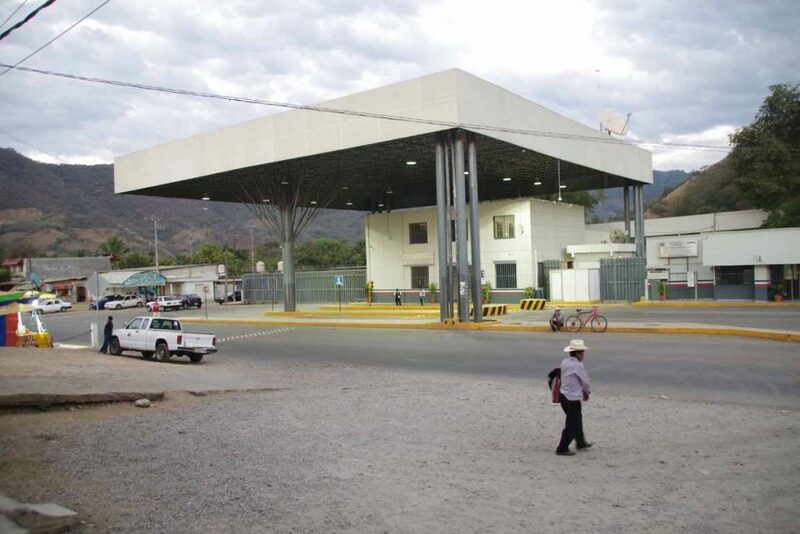 I understand banks in Guatemala will exchange US $ but not always Mexican pesos – so did this at the border. 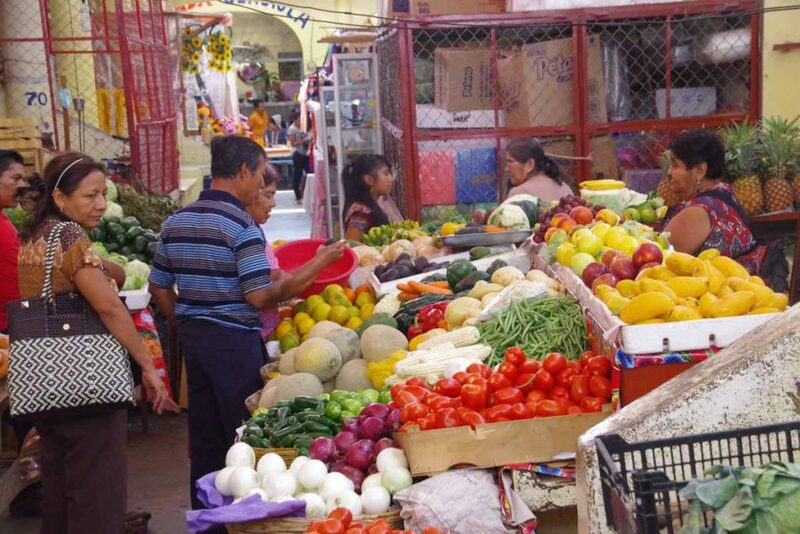 The official exchange rate is ~0.35 Quetzal per Peso. The money changer offered 0.30 and I negotiated back to 0.32. 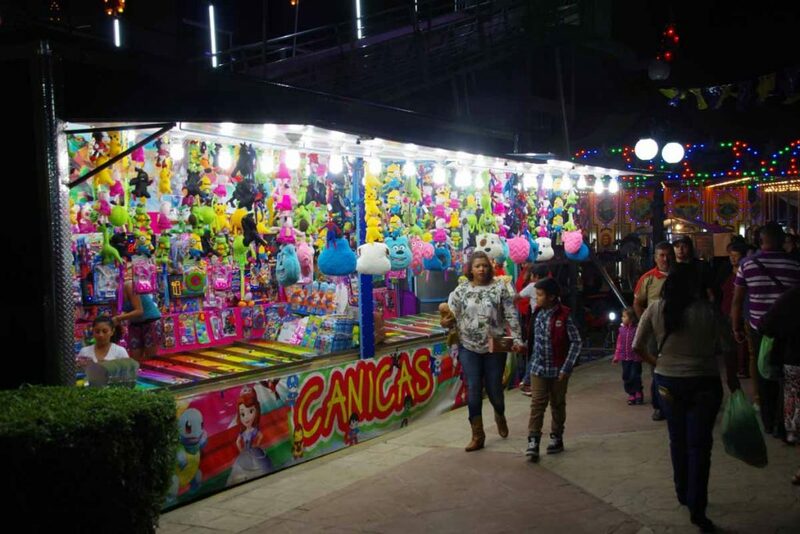 Still not great, but I didn’t have too many Pesos to get rid of. 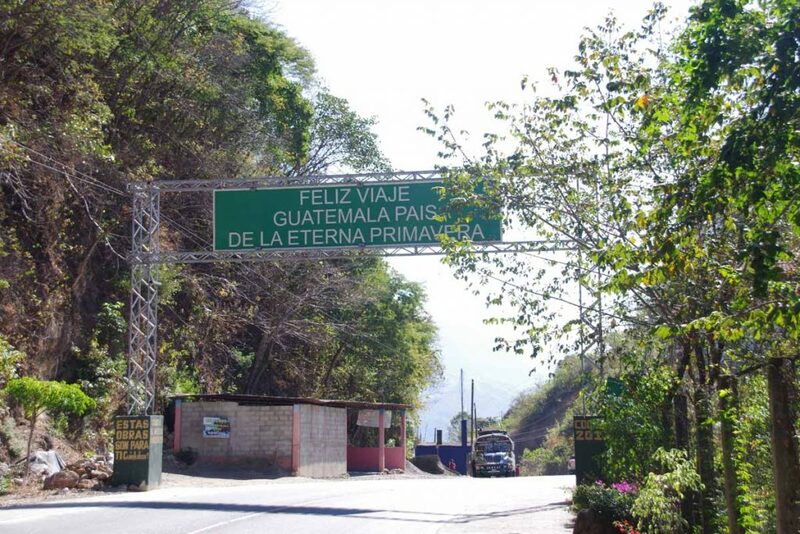 After that, got my Guatemala entry stamp (25 Quetzal), left the border zone and we were in Guatamala! 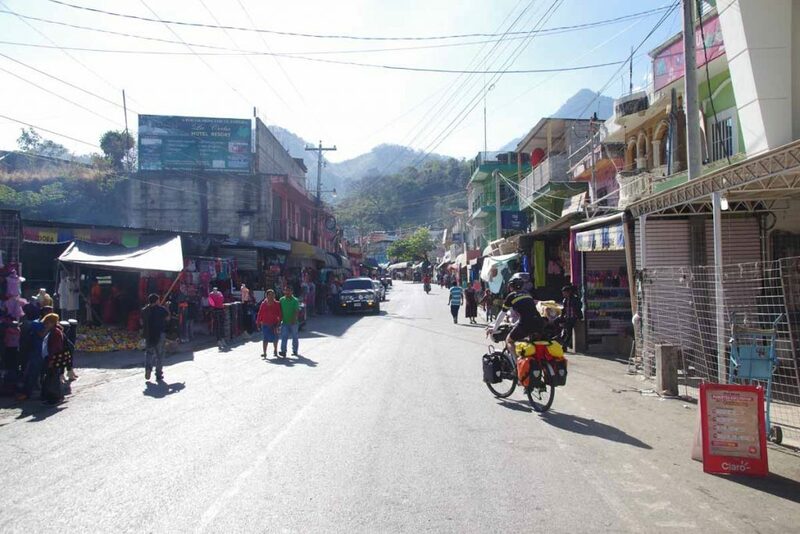 Little town on the Guatemala side was at least as chaotic as the Mexican side. We mostly cycled straight through and out of town a few kilometers later. Looking down on a village in Guatemala. After climbing the first hill, it leveled off for a bit and we came through a second village. 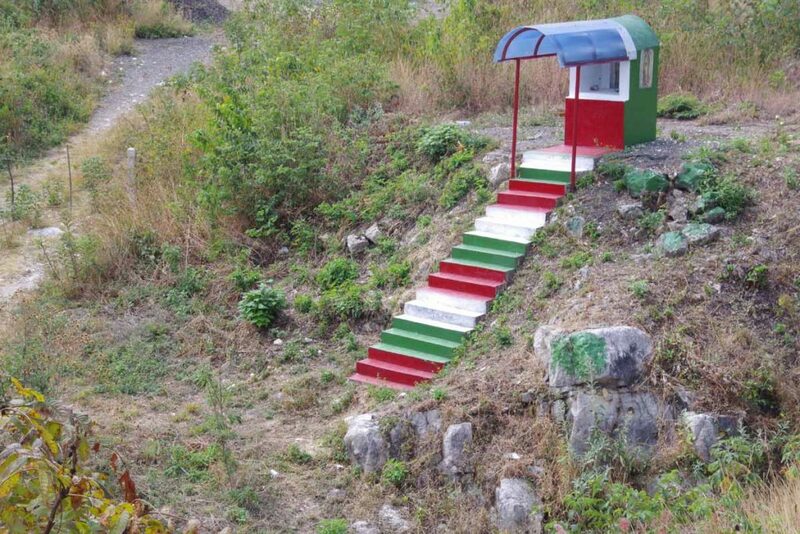 This one with several hotels and also some ATMs to get some Quetzal. 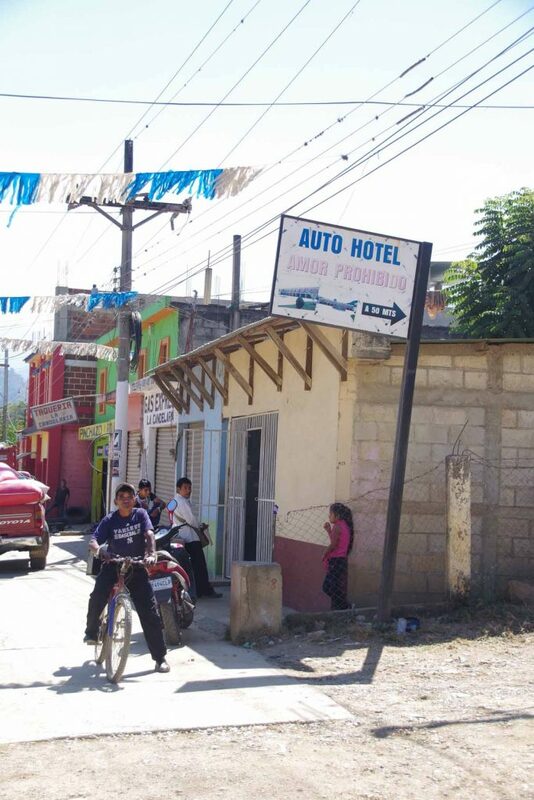 Was amused to see the sign for the auto hotel indicating “love prohibited”. The road was busy and somewhat hilly as we went through several villages. A little past 20km, descended to a river and then entered a steep valley. 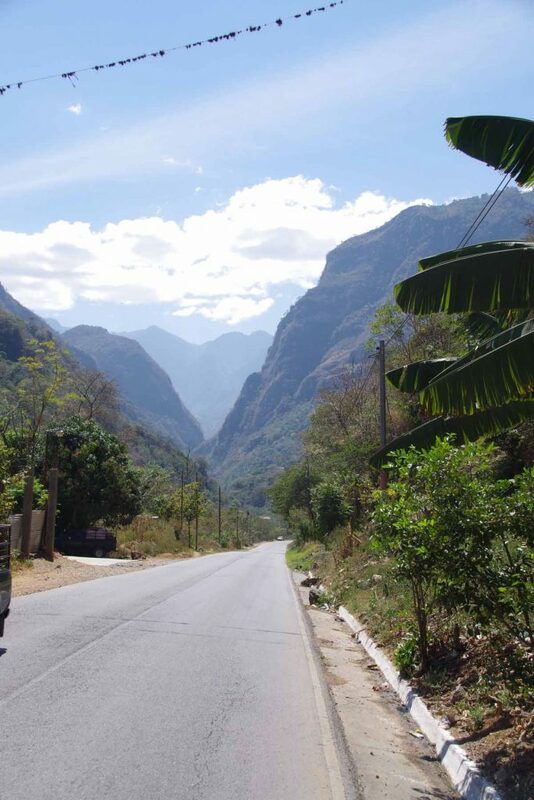 For the rest of the day, we would follow the river in this valley upwards, climbing from ~900m to ~1500m. There were a few 8-9% grades but mostly reasonable grades. The road was narrow with multiple curves. 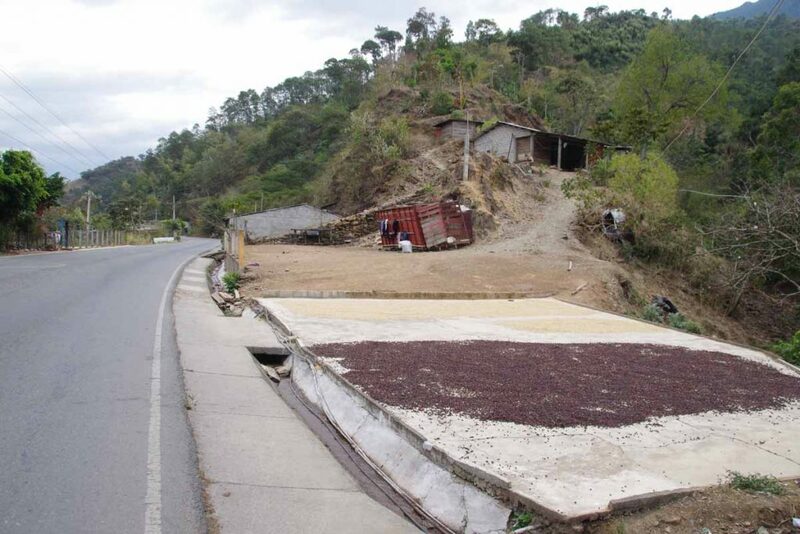 Along the way we saw several instances where coffee was set out to dry. 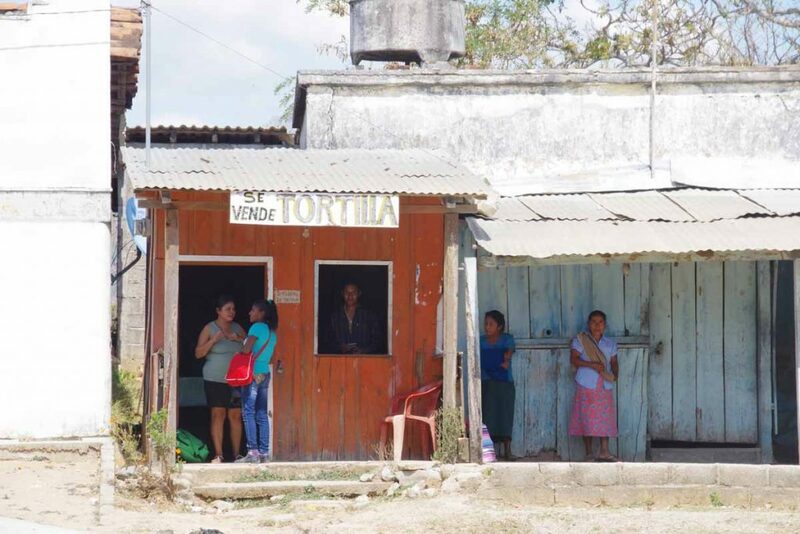 This establishment bought coffee and sold corn, fertilizer and cement. Different colors of coffee drying. Our end destination was a college town. 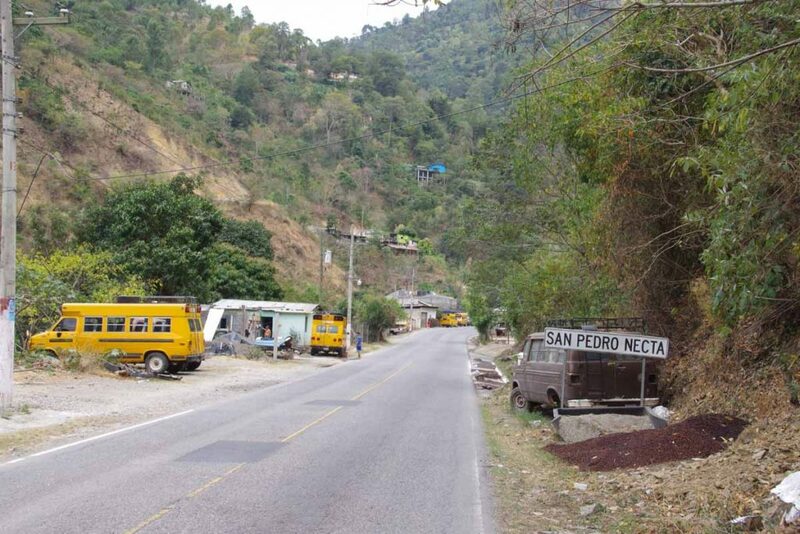 San Pedro Necta was a village we passed through. Also interesting to see where old school buses ended up. 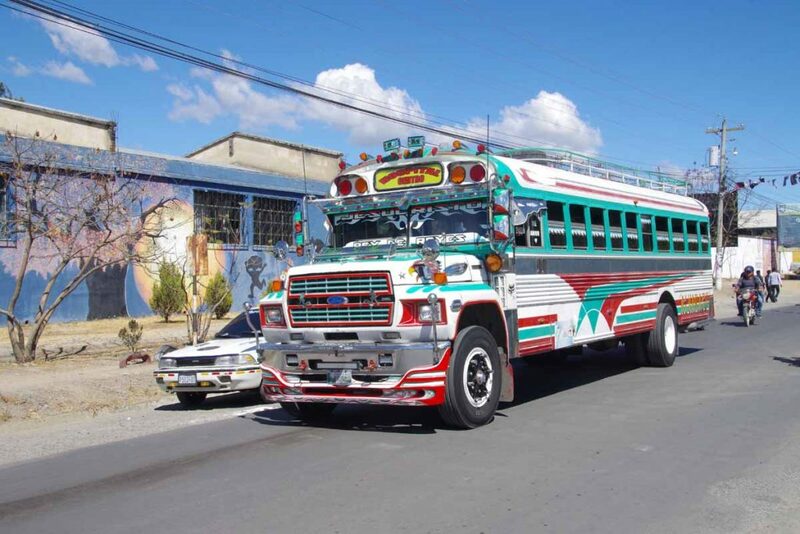 We also saw a number of the full-sized old school buses, often decorated and with a roof-top rack. Roadside memorials. Unfortunately, quite a few near this corner. 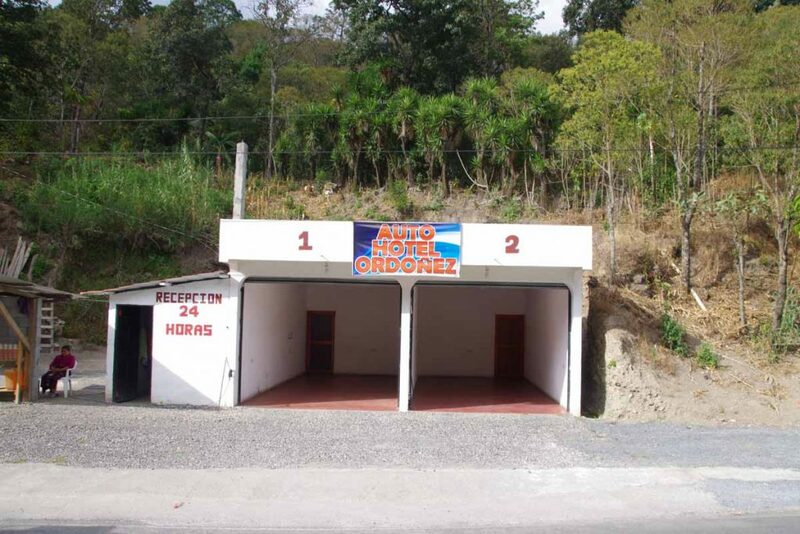 Another example of an auto hotel. Open 24 hours. Once you drive in, the door gets closed hiding your vehicle. 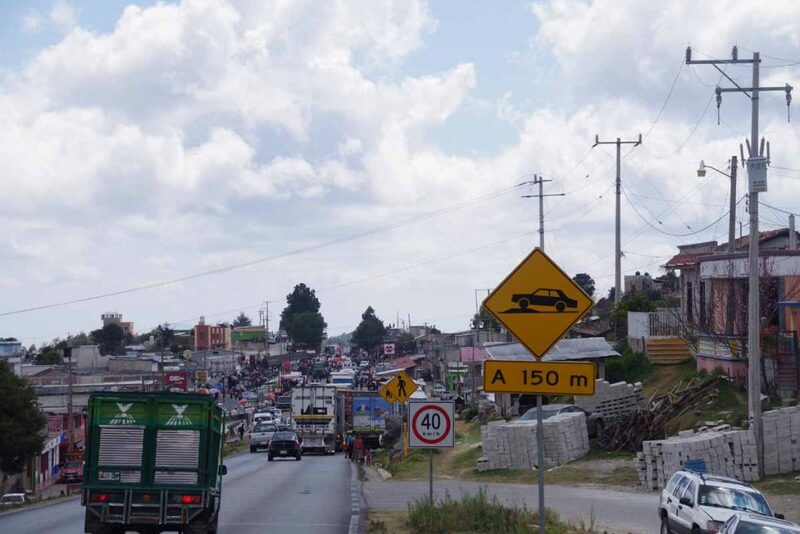 At 54km we came to Colotenango. 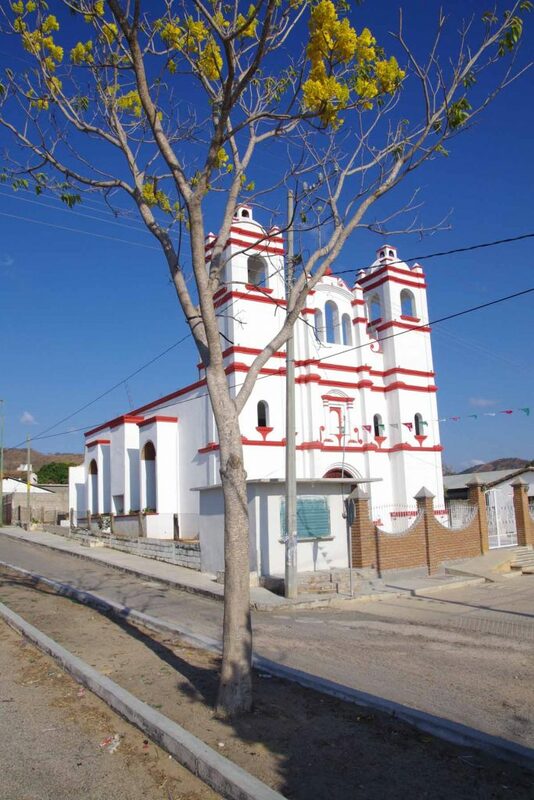 The main town is 1.5km further east and up a hill. 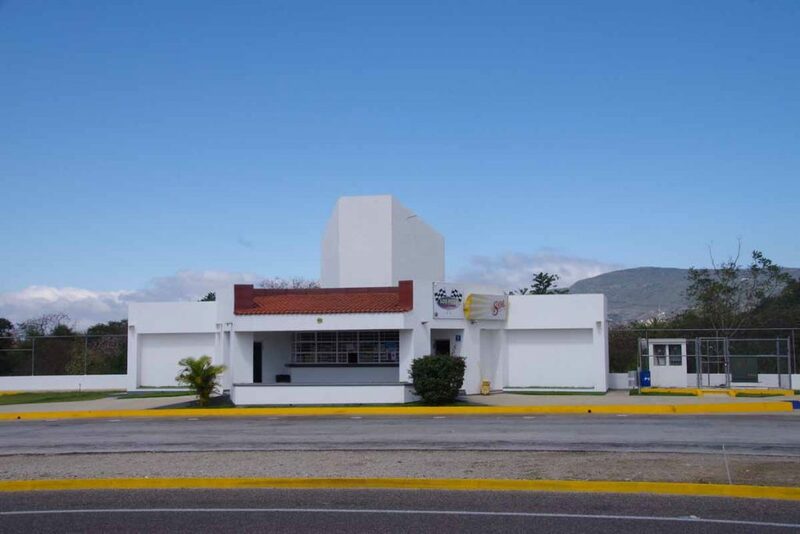 However, we were able to find a pesado (guest house) at the turnoff to the town. 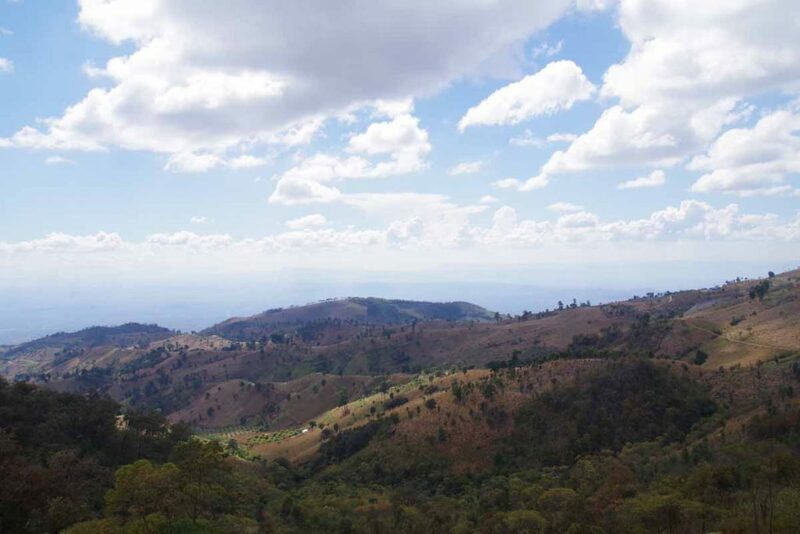 Nice ride with some good climbing but overall a pretty straightforward entry into Guatemala. Overnight at 3:30am there was a large explosion. 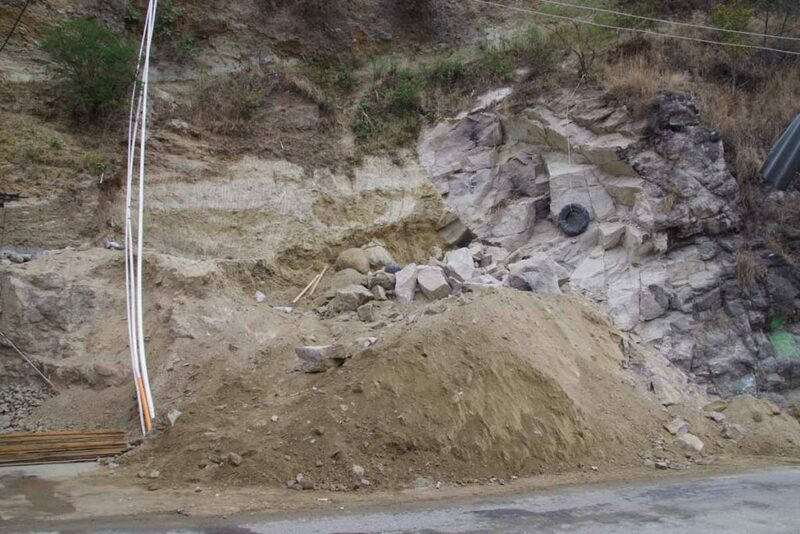 However, we had been warned as they were working to excavate the site across the road. They worked through the night and then set off dynamite in wee hours of the morning. Rather than traditional hotel, we were in a “posada” with shared bathroom. Otherwise comfortable and clean. We had planned a shorter ride today to get into larger city, get some washing done, get a SIM card, etc. The road continued slowly up the hill as we stopped every so often to take tourist photos. 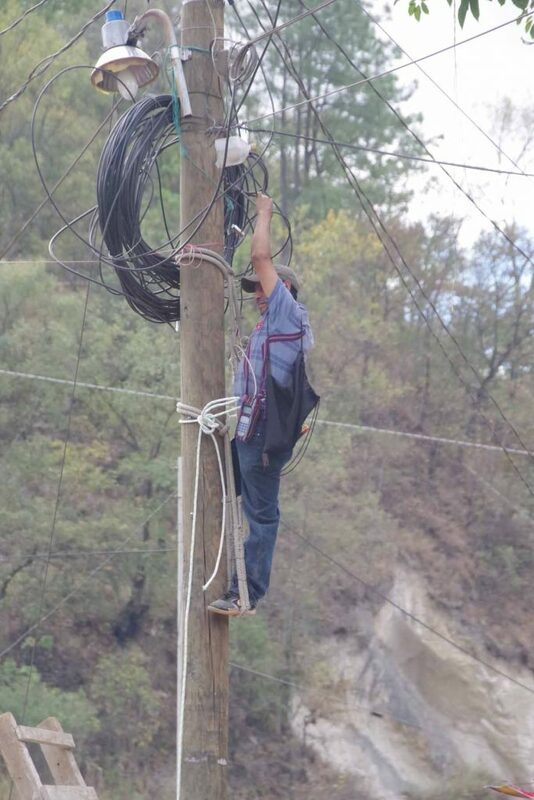 The repairman fixing the wires. 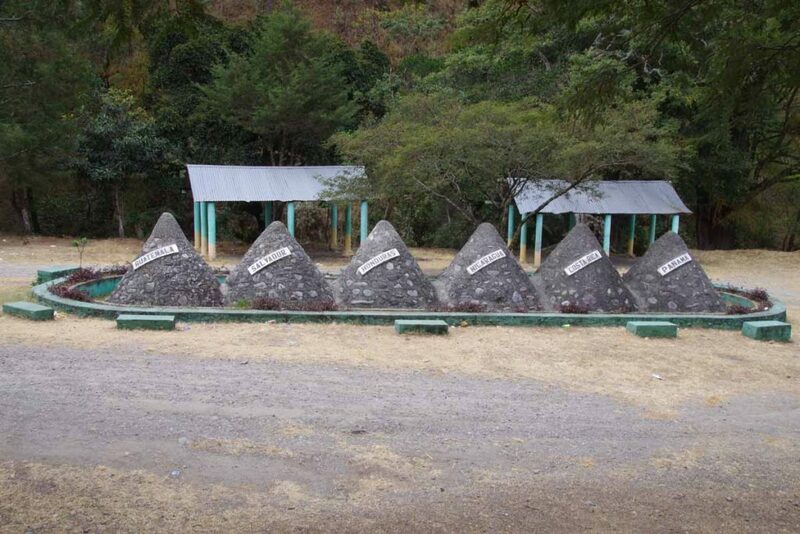 Small monument showing six Spanish-speaking Central American countries. A sign admonishing you to take care of the environment and don’t throw trash because your neighbors are watching. Unfortunately, still see some litter around in Guatemala as well and a bit more broken glass on the road as compared to Mexico. These “chicken buses” come past, often at high speed and making lots of noise. 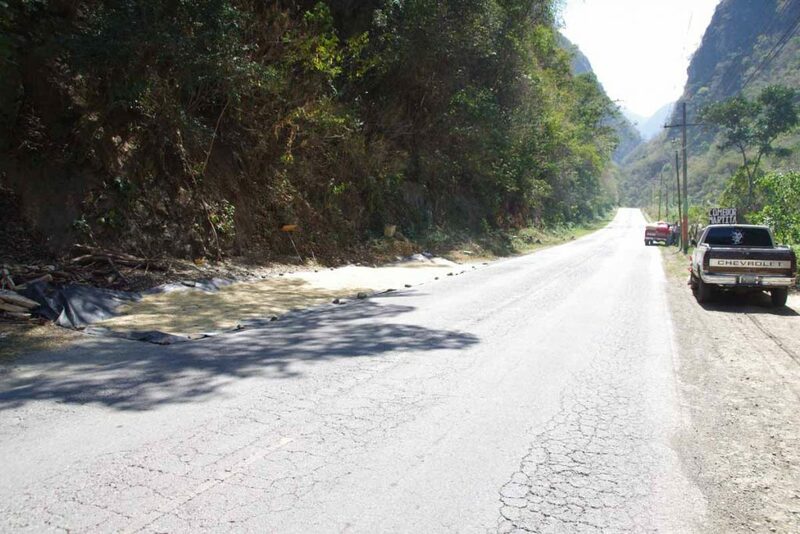 At 26km, we turned off onto smaller roads leading into Huehuetenango. It became steadily busier as we neared center of the city. Without too much difficulty we found a reasonable hotel and made it a shorter day. 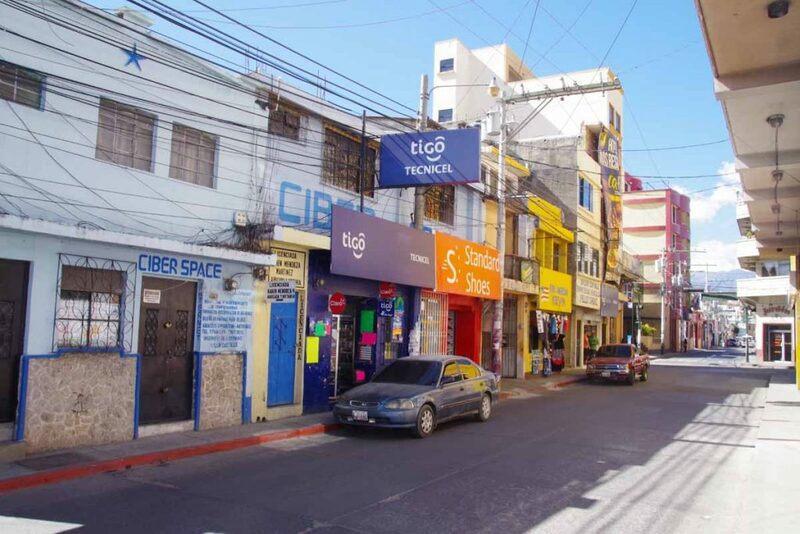 I found a cell phone store and was able to buy a SIM card for Guatemala. Particularly useful as we near outskirts of a larger place and try to look things up on Google Maps. 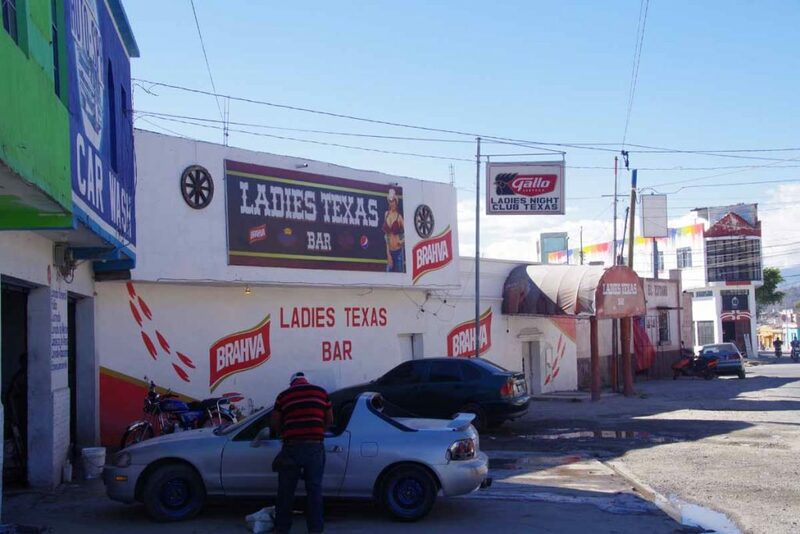 There is a ladies Texas bar in our neighborhood. 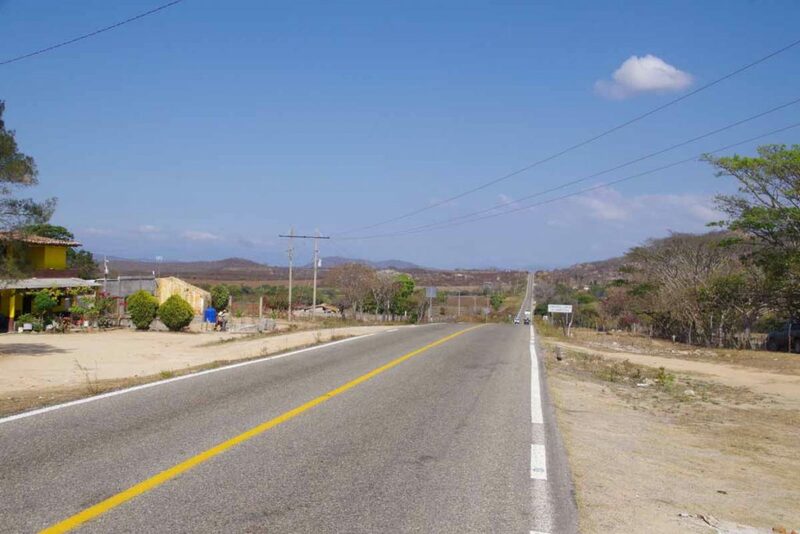 Otherwise nice to have ridden across Mexico and now feel like I’ve seen a small slice of that country in the 2.5 months spent cycling. Figuring out Guatemala but so far interesting to ride through. We’re in the highlands area so need to plot our elevation gains as well as horizontal distances. Unfortunately, Google Maps no longer gives bicycle instructions (which also have elevation) but we can also figure things out from other trip journals. One last night in Mexico. David gets the mechanics award today for helping fix my brakes. Nice in cool in Comitan as we left. Skies were overcast and the road out of town was four lanes with reasonable shoulder. 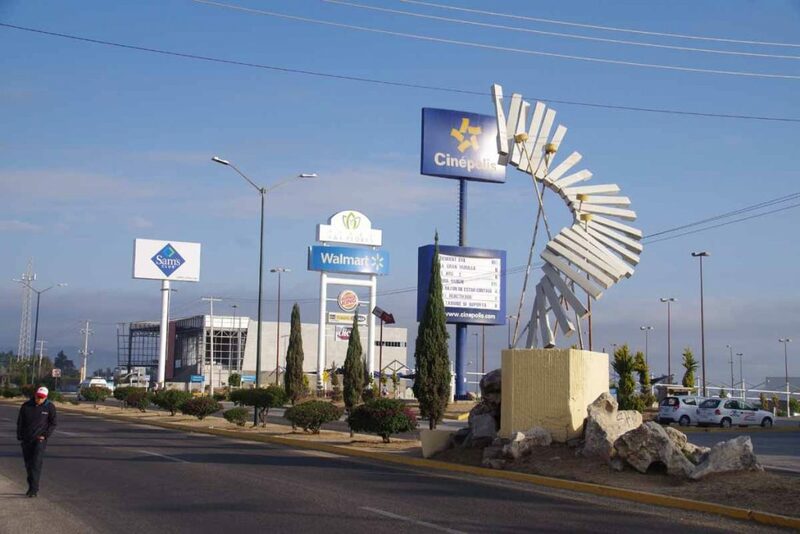 We stopped briefly at 6km at an OXXO across from the Walmart. One could also see the movies playing in town. We eventually lost our shoulder but also had less traffic. We saw several instances of “frontier” checks including this one looking back that seemed to direct all traffic past a large justice center. From 22km to 39km there was a nice descent down from ~1600m to 800m. As we descended, it also became much warmer. 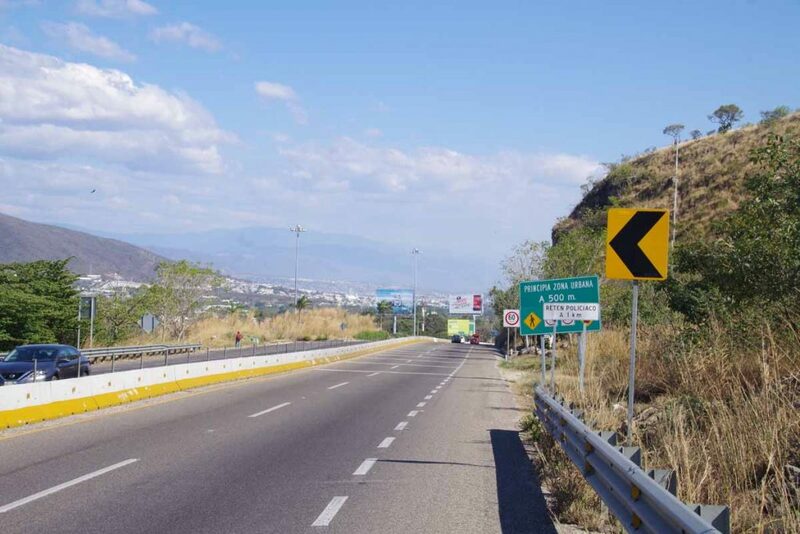 Near the bottom was a nice autopista highway for 8km. After that shoulders were more intermittent. After this level for a while and then a gentle downhill. It was on this downhill near 55km when my rear brake rotor suddenly made a lot more noise. Not a brakes worn out, metal on metal squeal but instead more as if something was rubbing. I stopped and tried to see what was going on. Opening up the brakes a bit helped a little but there was definitely something not quite right. David was already ahead so I rode down to him. Not much further we stopped in a shady spot next to a restaurant. We took the bags off, turned the bike upside down. Nothing immediately obvious, though we were able to reduce the symptoms considerably. Still seemed like the outside of the rotor was rubbing on something. I started thinking through different scenarios on how we might address this including potentially a bus to better place to analyze things. 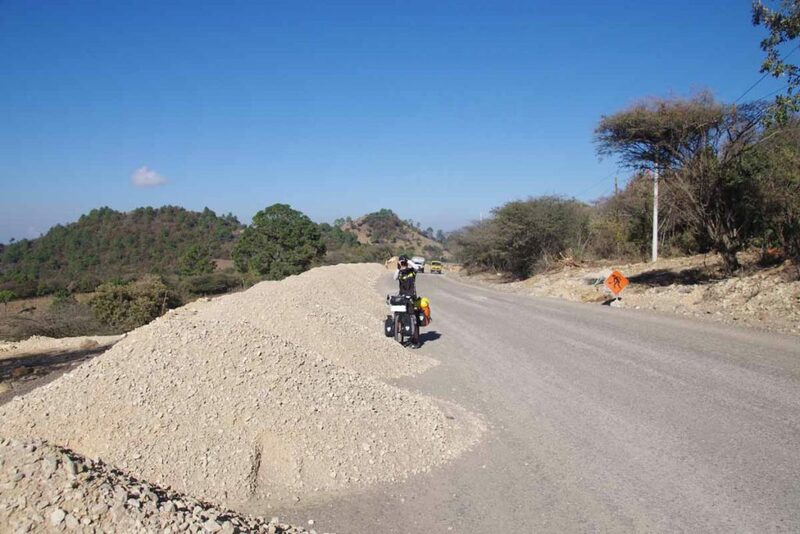 We asked at nearby motorcycle sales shop and people there suggested a motorcycle repair just a few km down the road. We got there and again turned the bike upside down with all bags off. The repair people definitely seemed amused at prospect of a “motorless” vehicle to examine and were even eager to start taking everything apart. David cautioned them to instead lets take off the brake pads and start with that. Once the pads were out, the cause quickly became apparent. The pads were well worn (only recently installed in Oaxaca) and more importantly, the small clip that held them in place had broken on one side. That likely accounted for sudden noise as well as additional off-center wear. I still had the pads that had come off the bike in Guadalajara and they had less wear (perhaps higher quality than what was installed in Oaxaca), though we’ve also had some downhills and I’ve definitely used the brakes since then a fair amount. After this fix, a lot better (thanks David and motorcycle repair team). Also reassuring to have this working again. With lunch and extra repair stop, it was now past 2pm and my bike odometer read 33C (91F) and felt at least a hot. It was fairly flat and we had a reasonable pace. We passed some hotels including this “love hotel”. This guy was carrying all the parts for a bike on his bicycle. In afternoon heat, we were a bit slower, particularly going over a few gentle hills. We had a nice stop at comedor with locals. They saw my grey beard and thought initially I might be David’s “papa” which was a bit amusing. It was already later in afternoon by time we came to Ciudad Cuauhtemoc. We expected a bit of time going through customs as well as exchanging money. 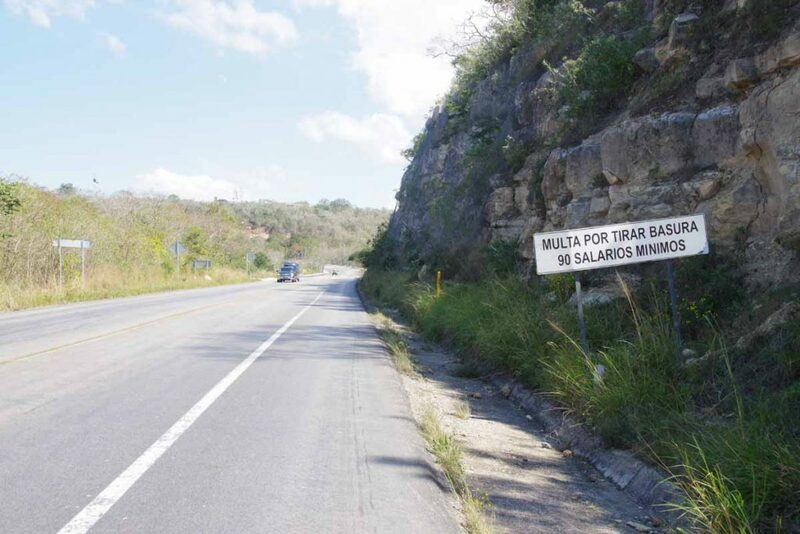 In addition the road starts climbing almost immediately after the town. 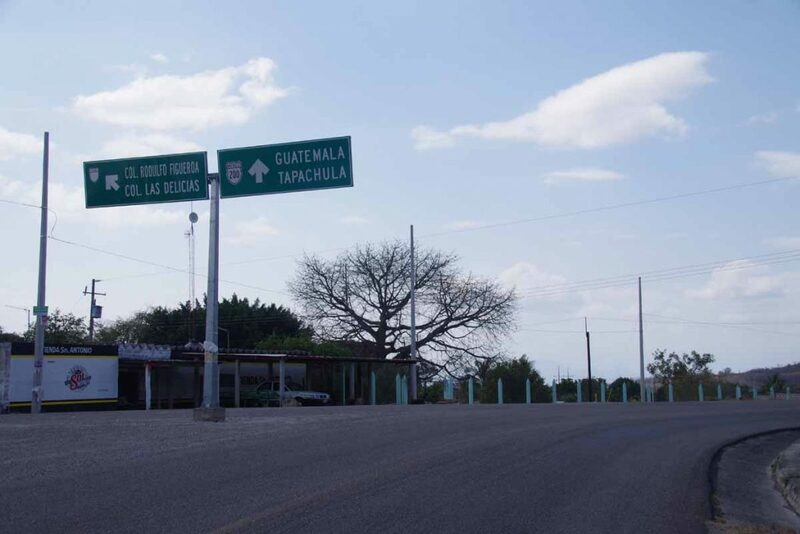 Hence we decided to stay in Mexico one last night and start fresh in morning with entry to Guatemala. Another day that wasn’t too difficult or long. Saving our energy for lots of climbing coming up in Guatemala. 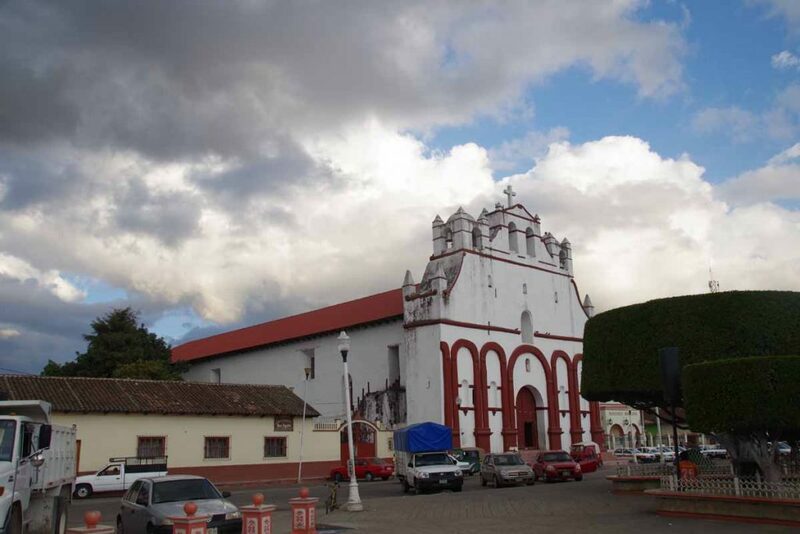 Teopisca was a nice little town and we were a block off the main plaza with large church above on one side. 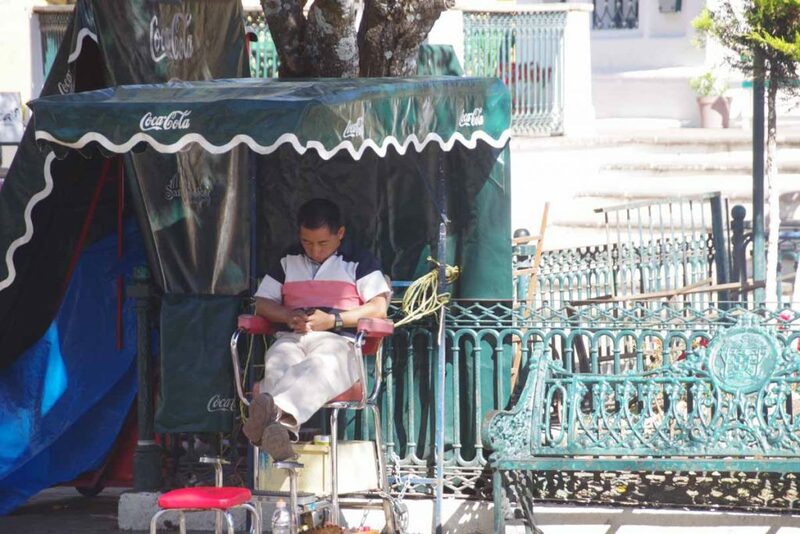 I’ve noticed quite a few more internet cafes in this part of Chiapas. As a tourist we don’t need them anymore as many hotels will have wifi. 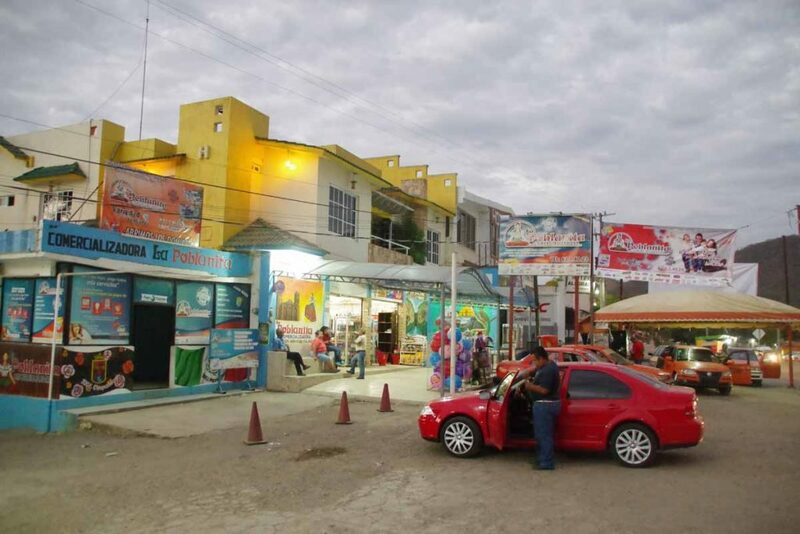 In addition, phone service with a provider like Telcel seems to cover many of the small towns. 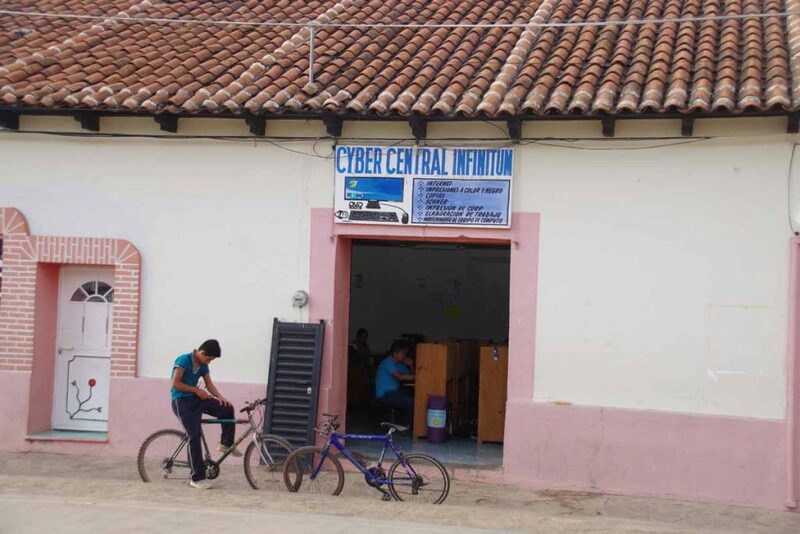 However, seeing internet cafes suggests that broadband at home is still more rare here in Chiapas than other (often wealthier) Mexican states. Todays ride started with ~15km of climbing. 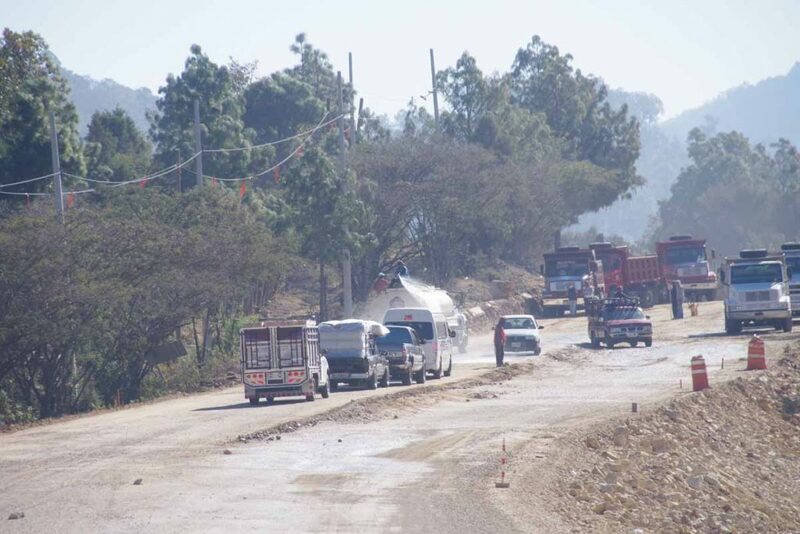 The road was initially narrow and busy but in a few kilometers we came to an area of road construction. Conditions actually improved at this point: the road became wider and road surfaces were still fairly smooth. 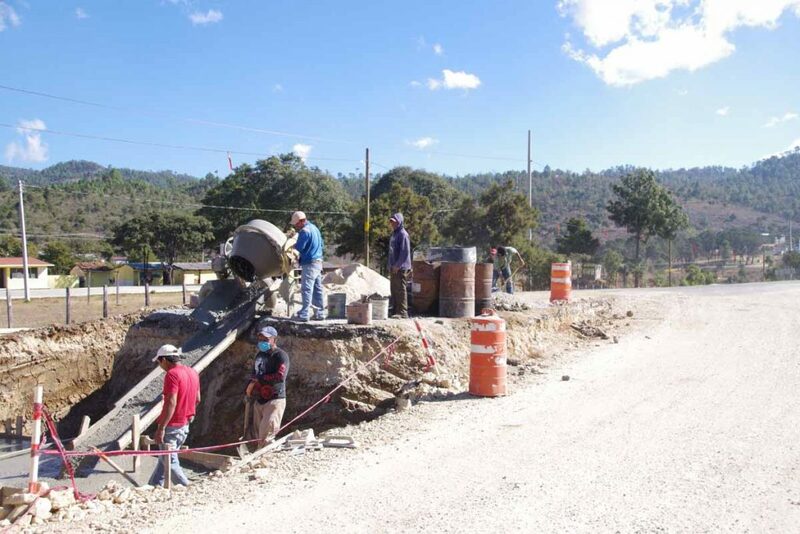 Here was a construction crew mixing cement for a culvert. Not far from the top, road construction was finished and the road was wide with a nice shoulder. In addition, not much traffic to contend with. From that point, the dominant direction was downhill and we ended up lower than we started. 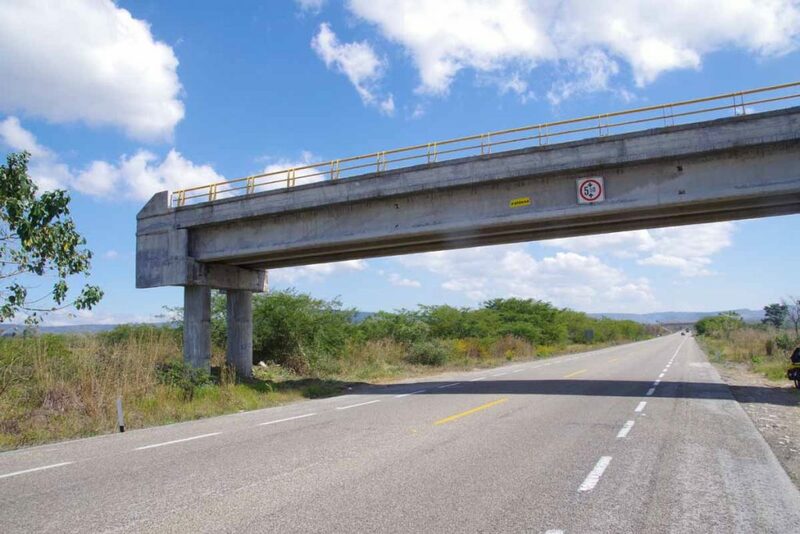 One thing I don’t fully understand is road today had several of these newly constructed pedestrian overpasses. What is strange is the areas are really not that busy, so much easier to just walk across the road than take the overpass. The people in this photo are mostly construction workers. 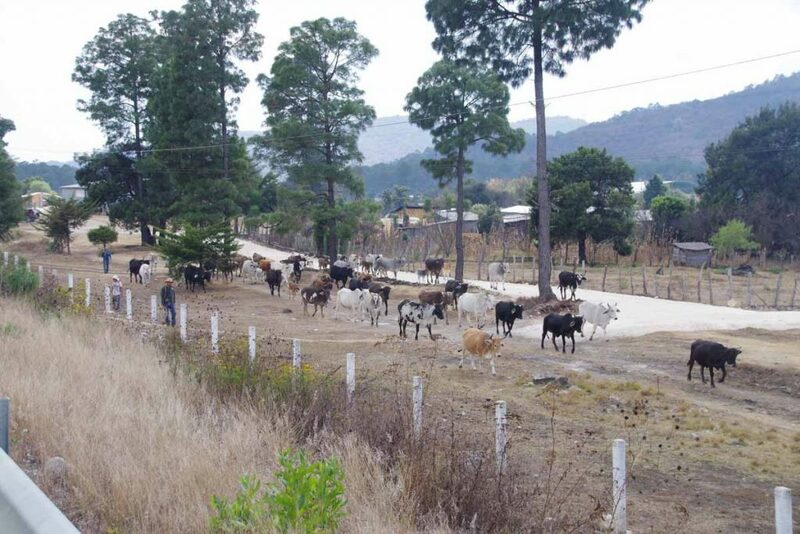 Here was a cattle drive along the way. 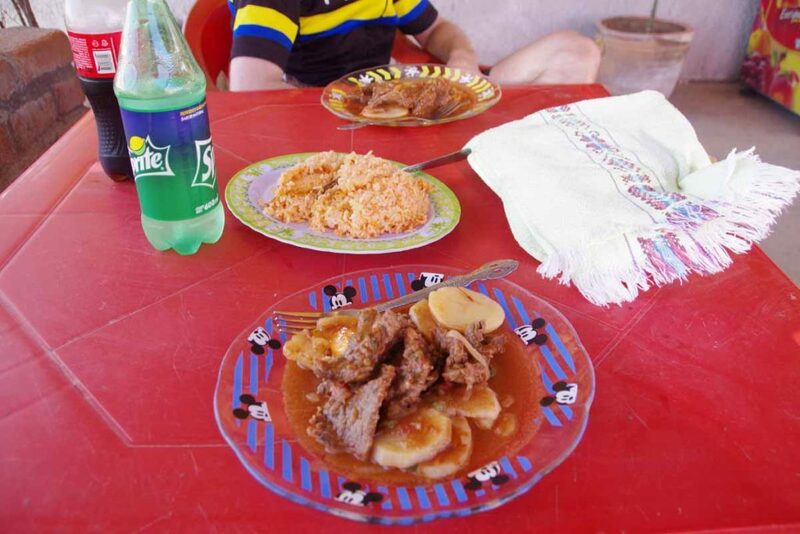 We came past a few indigenous villages, though not as many comedors or places to eat as other days. One of the houses we passed along the way. 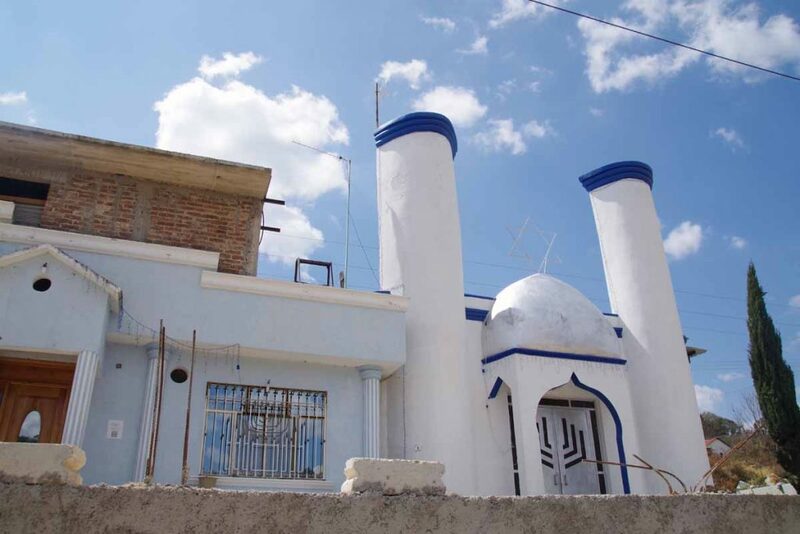 This building was interesting, as best I can tell, a Star of David and a Menorah on the door – but otherwise is a very rural part of southern Mexico. 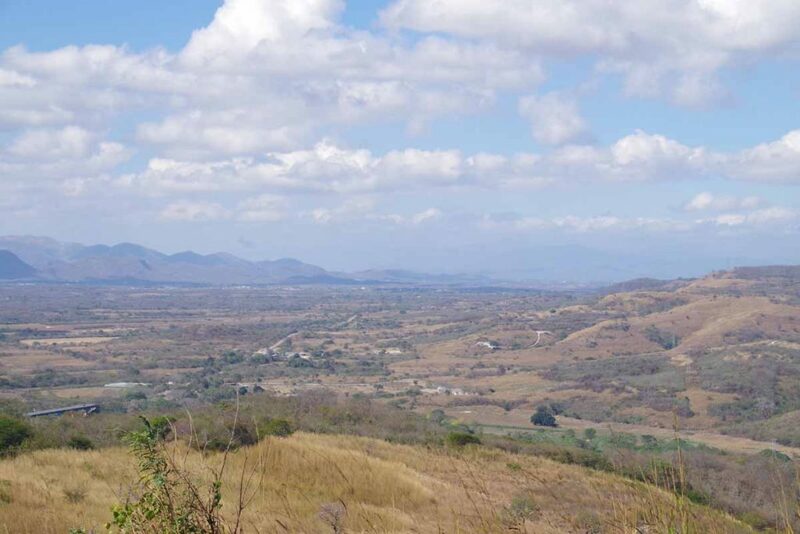 We came down a larger hill and without much difficulty found ourselves in middle of Comitan. We found the main square including church on one side. 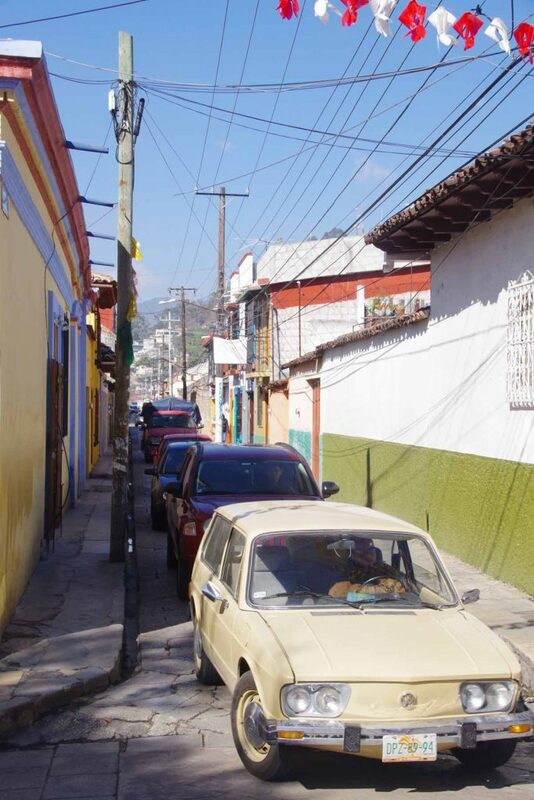 Streets are narrow and parts of the city are still on a hill. We’ve at ~1500m, so still slightly cooler. 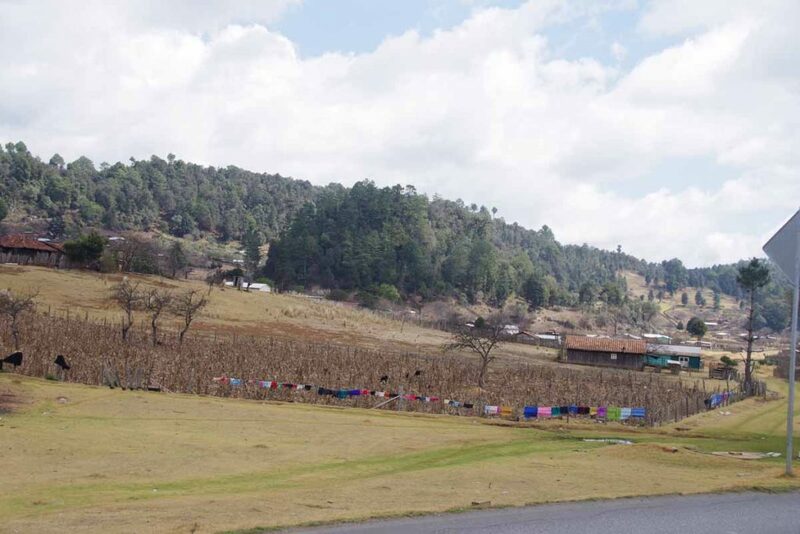 Otherwise a nice relaxing restful afternoon here in Comitan. 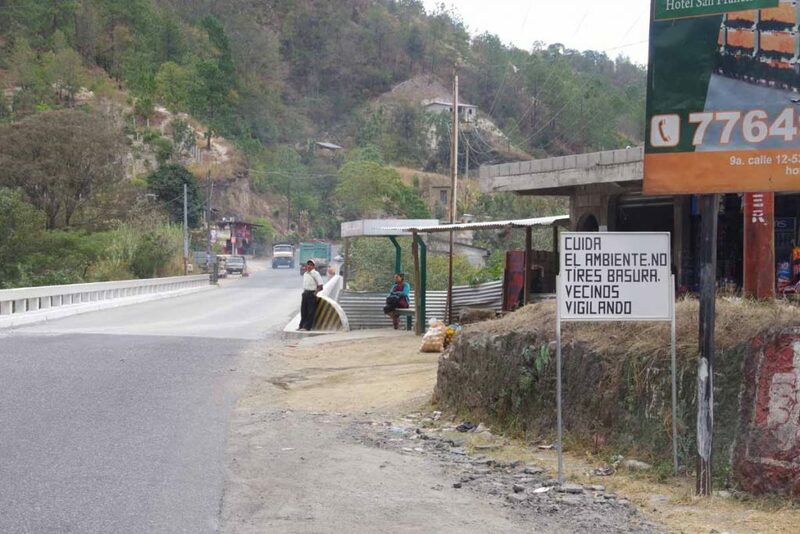 If all goes according to plan, we should cross the Guatemala border at end of tomorrow. Not sure whether internet will be as plentiful there as in Mexico or whether I’ll find a SIM card for cell phone right away. What I am fairly certain though is there should be some hills. Some big hills coming up. By the way, David now also has a blog of our trip so you can read a second account of our journey. 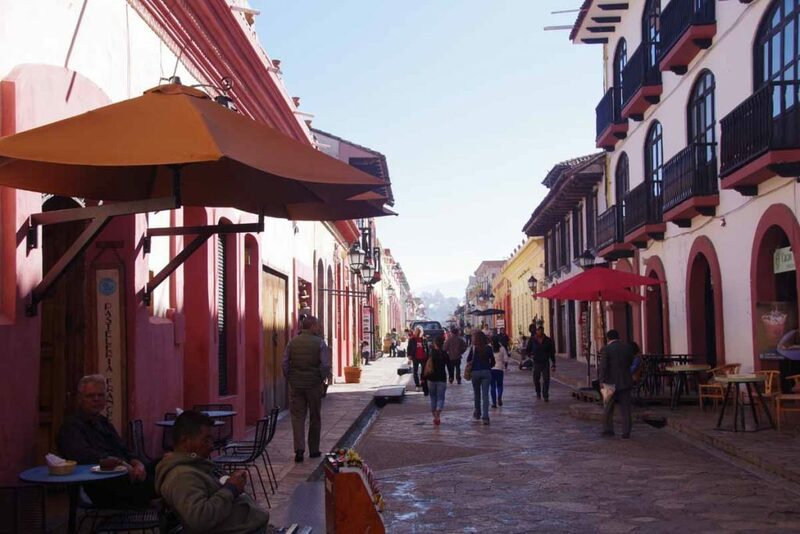 A morning visit to San Cristobal followed by a short and easy ride today. 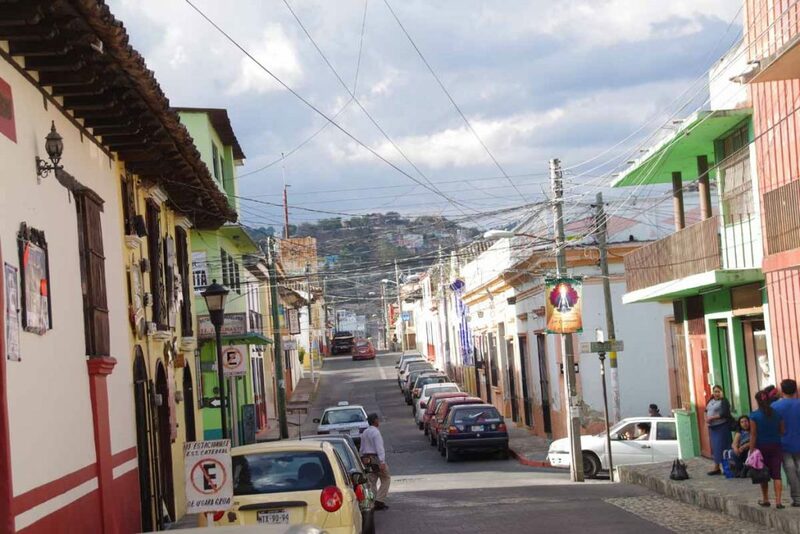 San Cristobal is back in region where hotels have blankets on the beds and no air conditioning. This morning was even some haze/fog that then burned off. We decided to make a quick visit to see the downtown area and otherwise make a shorter ride. 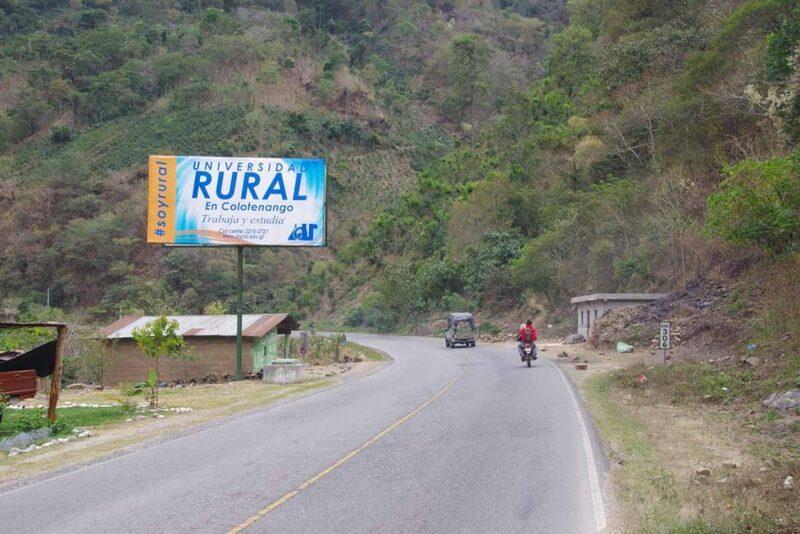 Around this area are many indigenous villages and also peoples who don’t speak Spanish. 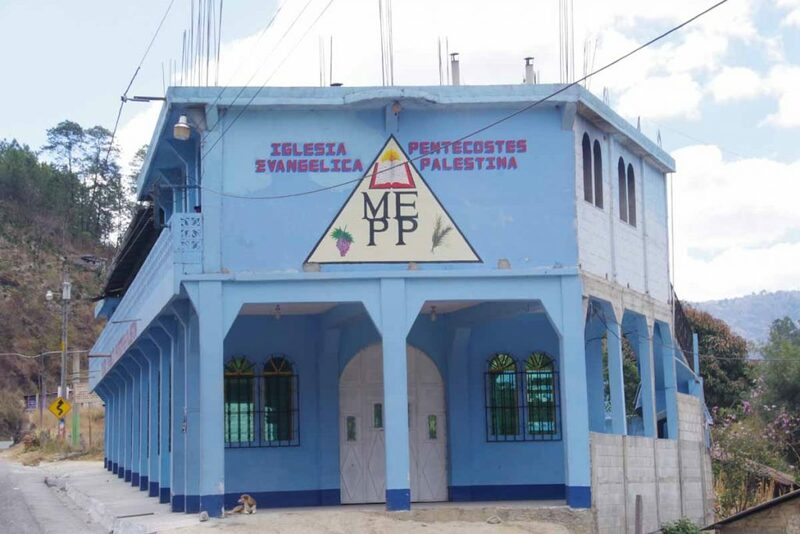 We passed through some narrow streets and found the main downtown square as well as several of the churches. Shoe shine guys were not getting much work yet. One was sitting in his own chair waiting for clients. There was a nice pedestrian street as well as interesting architecture. 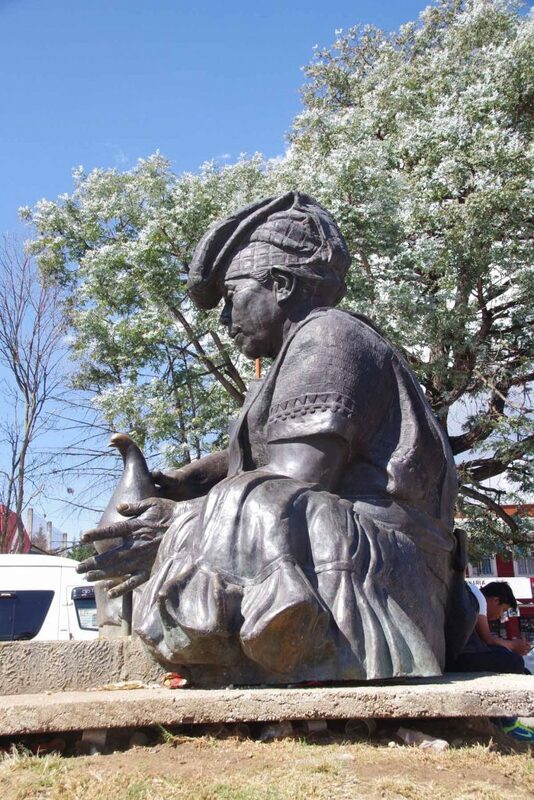 On way out of town, we passed this statue of a peasant woman. Not much longer we had a bite or two to eat and then set off for the ride. The first 5km were a slow ride up a hill but after that it was more downhill than up. 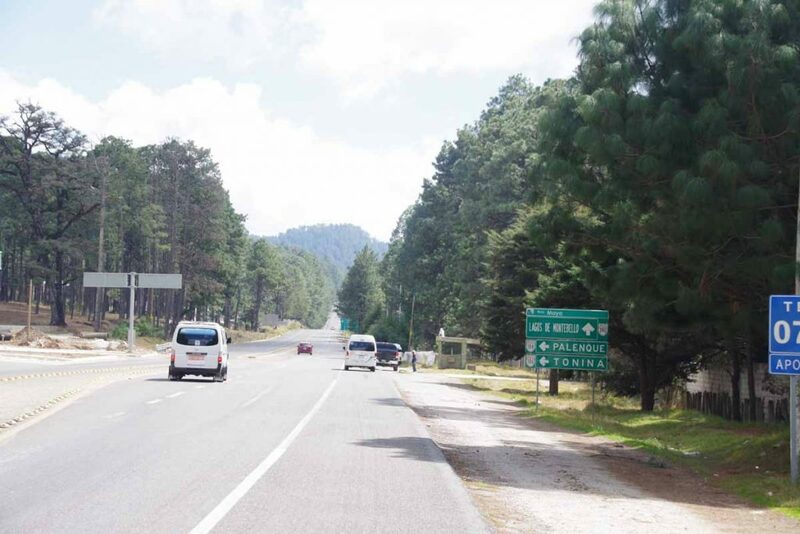 As shown in photo, we’re back in area with pine trees. 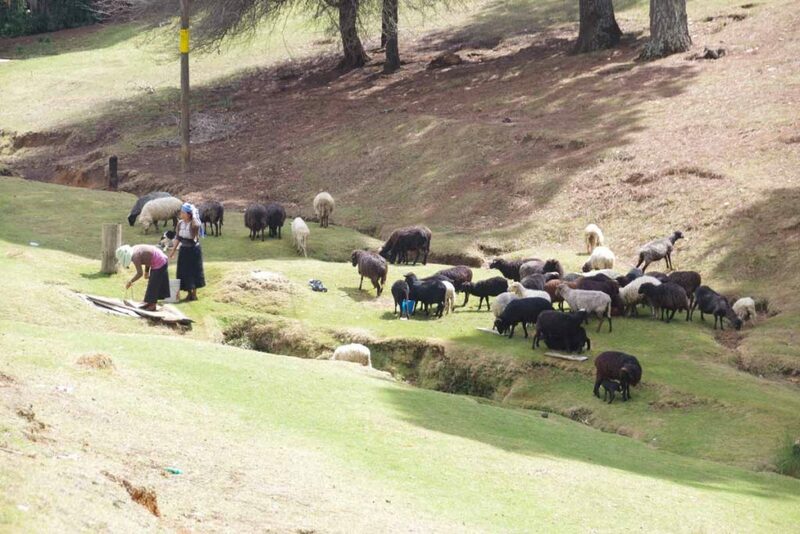 Local villagers taking care of sheep. This farm had a nice long fence that could be used for the laundry. The last third was a steady downhill losing ~600m (2000ft). We had seen several fire engines pass as well as two ambulances. When we got to this village we saw the cause. A truck appears to have overturned within the village. We suspect coming down the hill and then losing control. There was a crowd watching the aftermath unfold. I got off my bike and was able to carefully walk past, but the other traffic was pretty much stopped. At bottom of the hill was Teopisca. We found the main square and not much further a nice small hotel. Overall an easier day to stop and now good chance to get out the maps for Guatemala as well as read some of the previous trip journals. 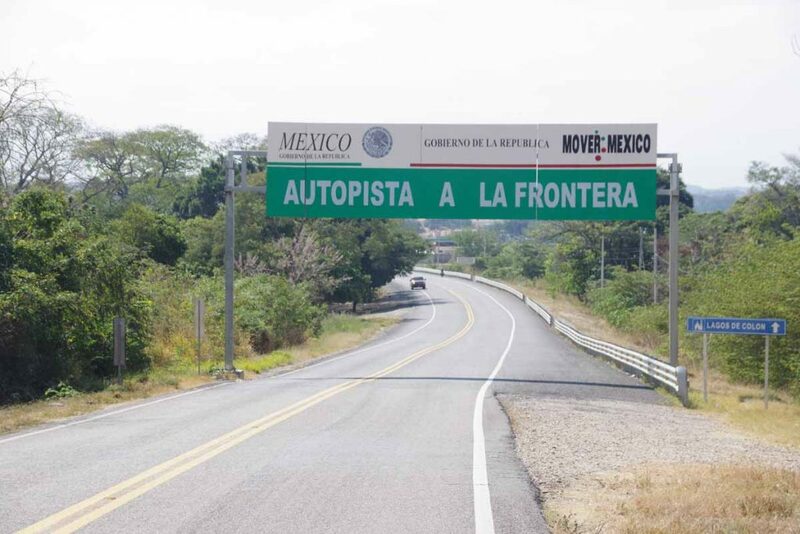 It will likely still take us two days riding to the border. Up. Up and up some more. Today we climbed 1836m or a little over 6000ft. Starting from a little over 400m, our route took us over 2200m before dropping back to 2100m in town of San Cristobal de Las Casas. 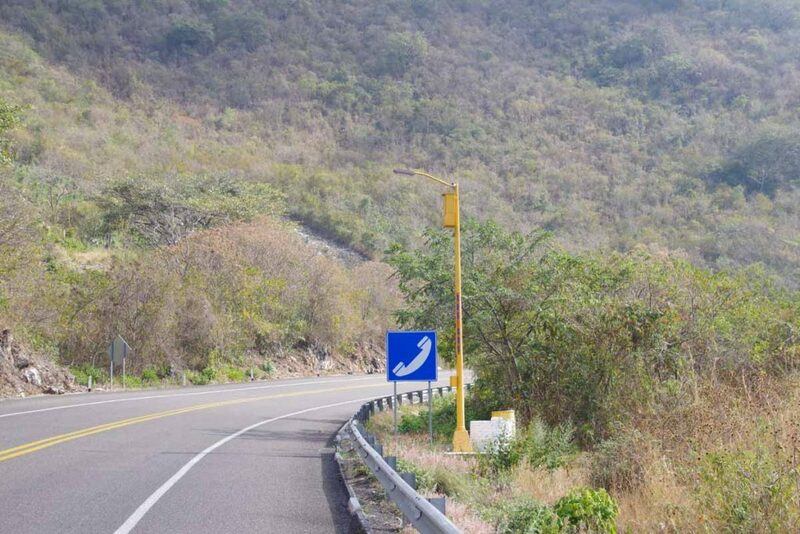 It was a long day, but grades weren’t steep and we had a wide shoulder on the cuota. Our rest day yesterday help. Just as the dog in the photo, when it got hot, we relaxed. 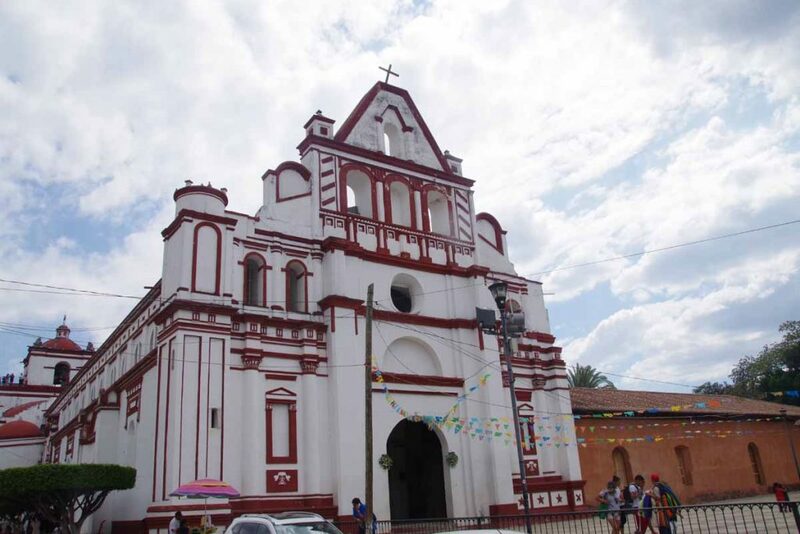 We did see a little of Chiapa de Corzo including historic church and large plaza. The town claims the plaza is larger than main zocalo in Mexico City. There are some archaeological ruins nearby (we did skip them) and overall seems like the town has a number of Mexican tourists. We otherwise stocked up for what we expected would be a challenging day today. This morning we awoke by 5:30am and were on the road just before sunrise. 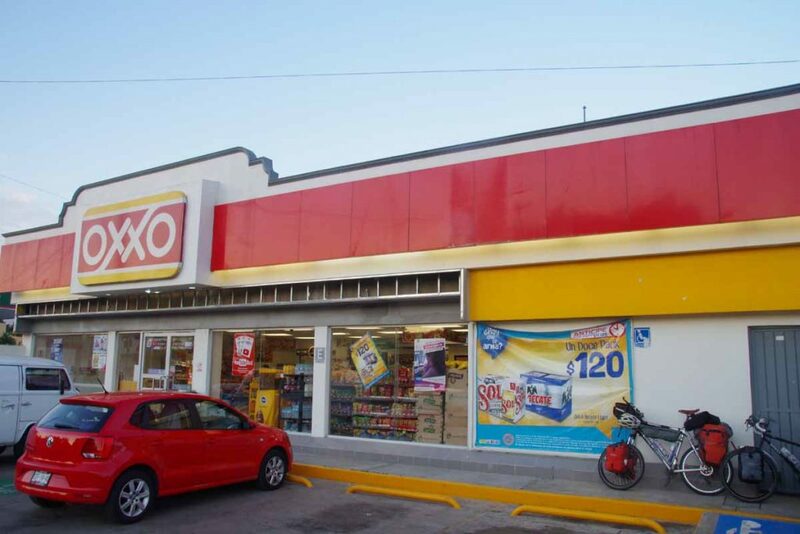 Our first stop was nearby OXXO for last minute snacks. After this it was on the main cuota toll road where for nearly 45km, we rode up a grade that was pretty consistently 3-6%. There was a reasonable shoulder, though occasionally vehicles would also ride on the shoulder so had to keep an eye out in the mirror. 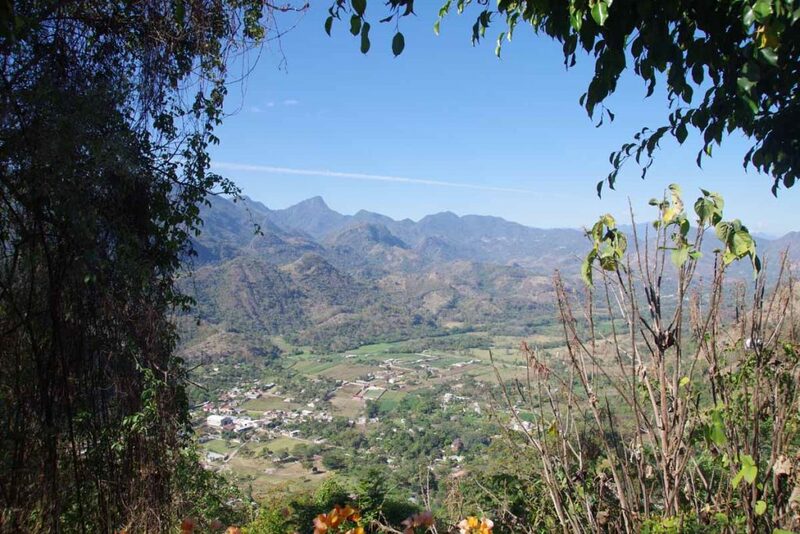 Here is a view looking back at Chiapa de Corzo a little ways into the climb. Once again there were motorist call boxes as well as containers we assumed were filled with radiator water. We did see one or two broken down cars along the way and one instance of a “green angel” roadside assistance truck pushing a car up the hill. At 24km was a welcome stop and our first chance to refuel. After this point, villages became more numerous. 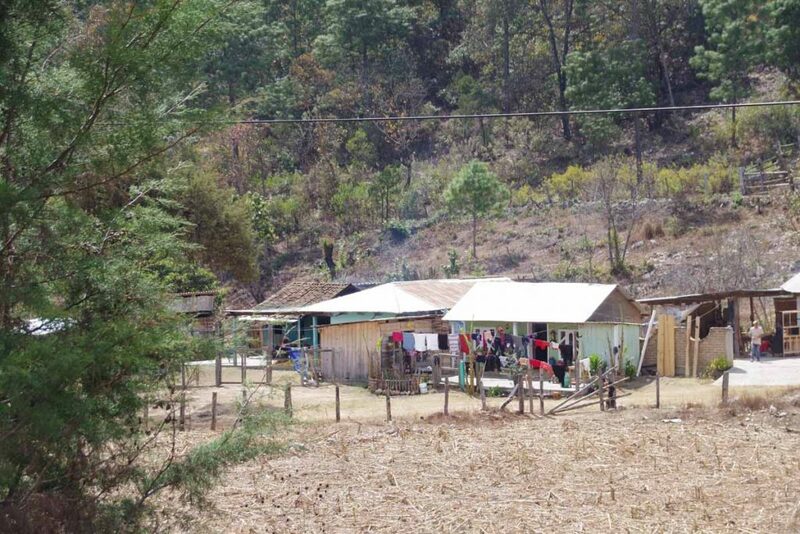 The corn crop was mostly finished, but surprising how steep the hills were used for growing corn. Here was a look down on a small church in one of the villages. 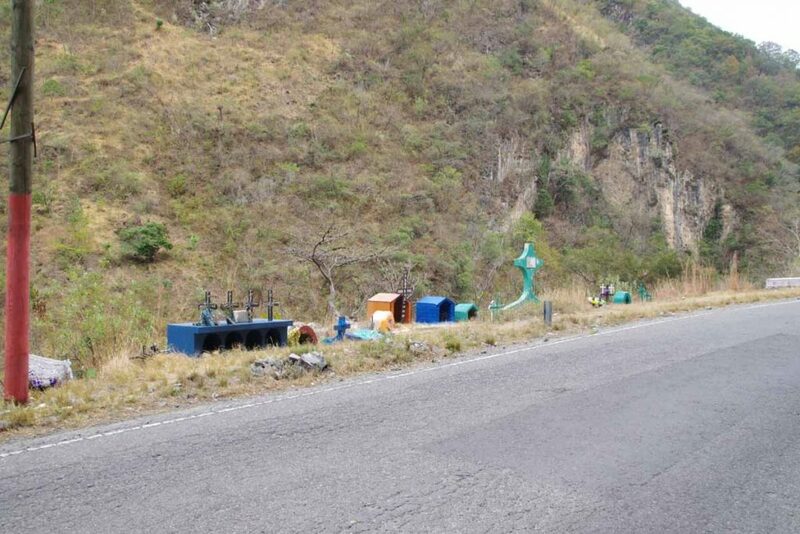 We continued to see roadside memorials, some of them fairly elaborate. 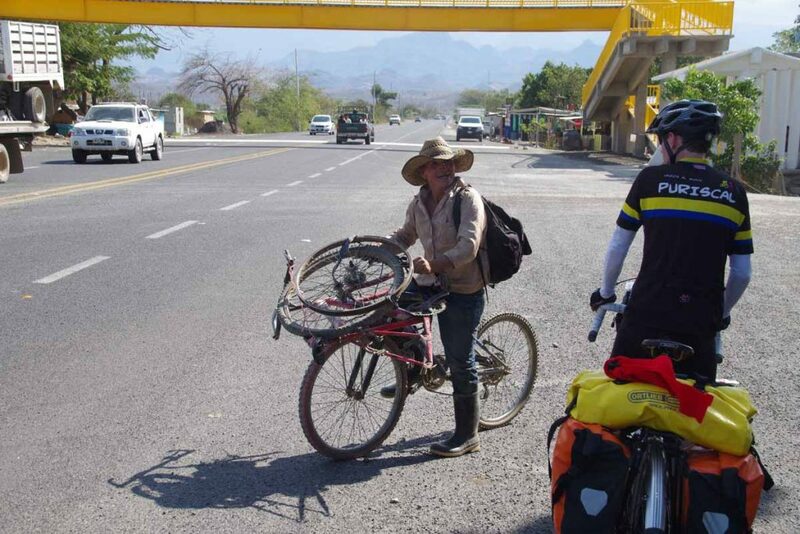 At 32km, a welcome sight, a small comedor as well as store and chance to stop for lunch. My cycle computer recorded over 30C (86F) at this point, the highest temperature for the day. After this it clouded over and we even had some brief drops of rain. Nice view looking down from lunch. Nice to get closer to the town. The top of the hill was closer to 45km mark than the 41km that I expected but after this a nice descent and start of some light rain. It looked like it had rained harder before as we came past deep puddles along the road. 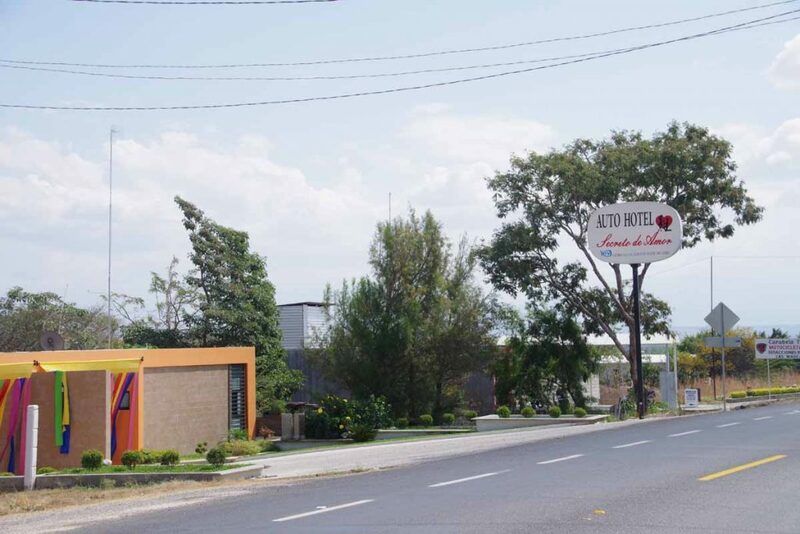 We made our way most of the way to the center but stopped at a reasonable hotel a few kilometers from center. Now a chance to sort out our next steps. Many tourists visit here (though we haven’t been to most touristy center yet so not seen them yet). 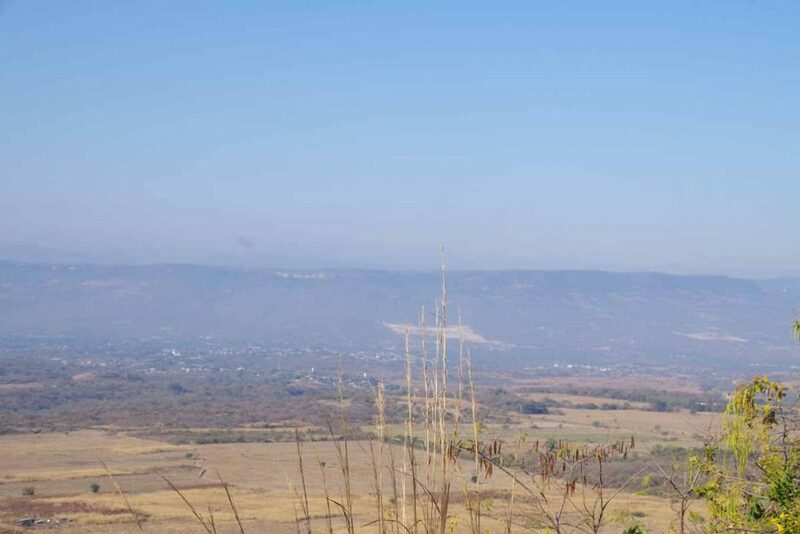 Over the hills and across the big city of Tuxtla Gutierrez. Today was another full day of riding. Overnight was surprisingly quiet in our hotel, despite being a block away from the main square with its music and noise. 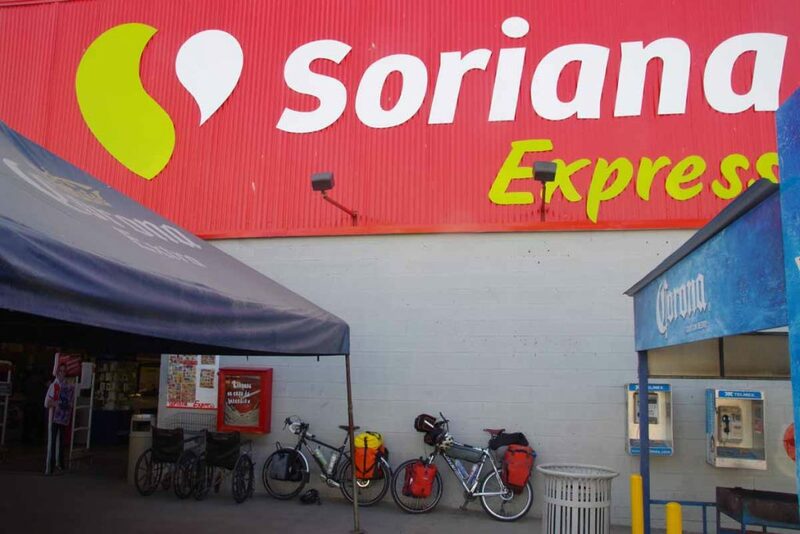 After leaving the middle of the city, our first stop was the large Soriana Express supermarket. One could get most things there and nice to get some bananas and yogurt to start the day. Next 20km were on a narrow road. Traffic wasn’t as bad as I expected, though one did need to keep a vigilant eye out in the mirror. At 18km, we stopped briefly in a comedor since there wouldn’t be much for another 25km. 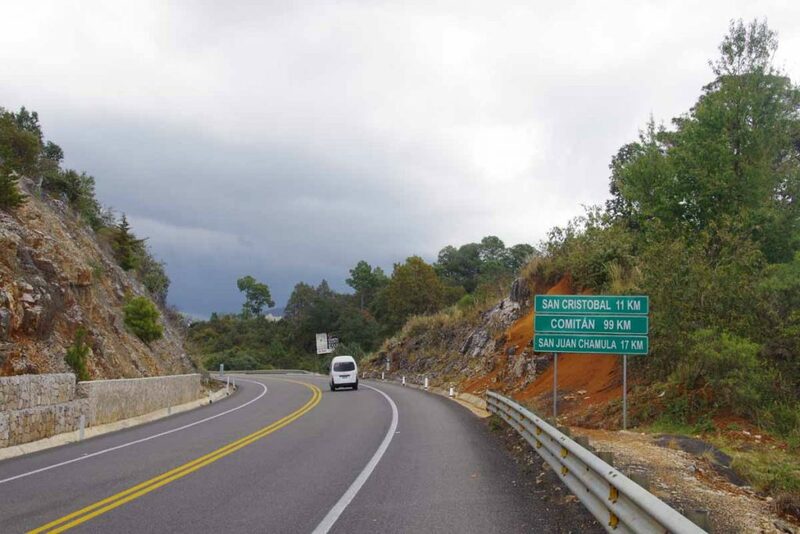 At 20km the road split and we took the cuota toll road. Once again these toll roads have nice shoulders, reasonable grades and usually good surfaces. The drawback is they avoid the smallest little towns. 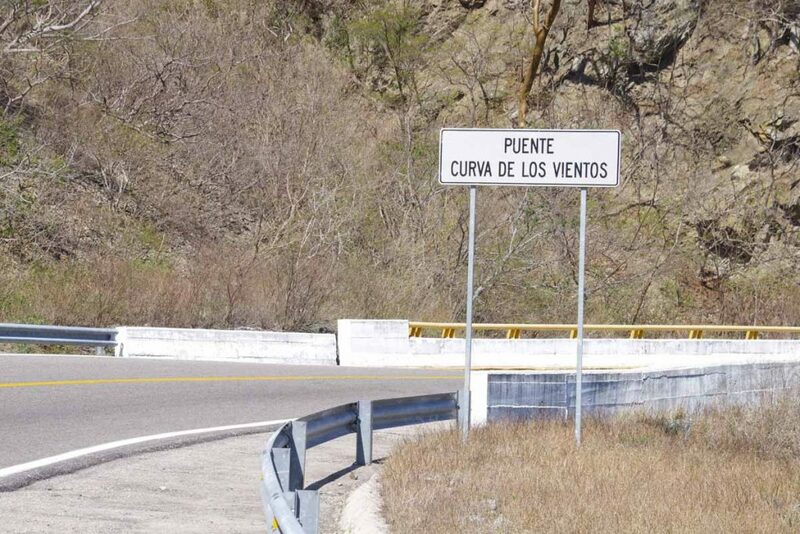 We started to climb once on the cuota. Here is a view looking back. 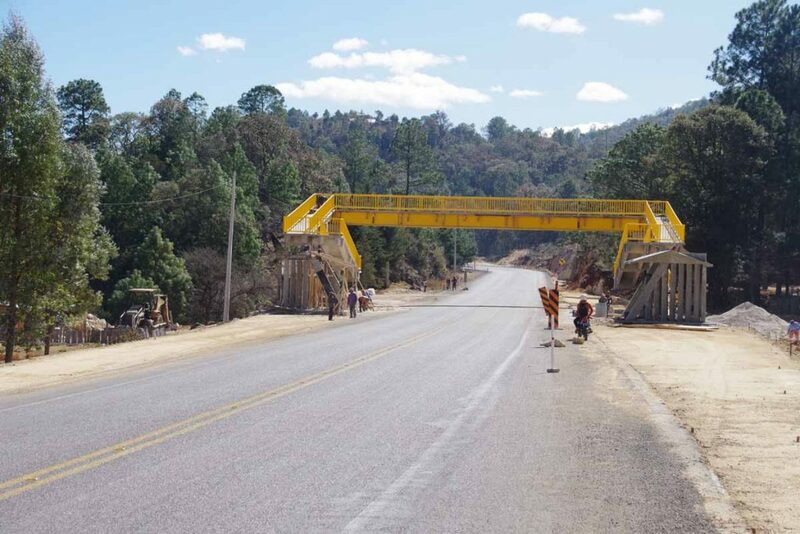 Occasionally there will be bridges installed that don’t connect to anything. 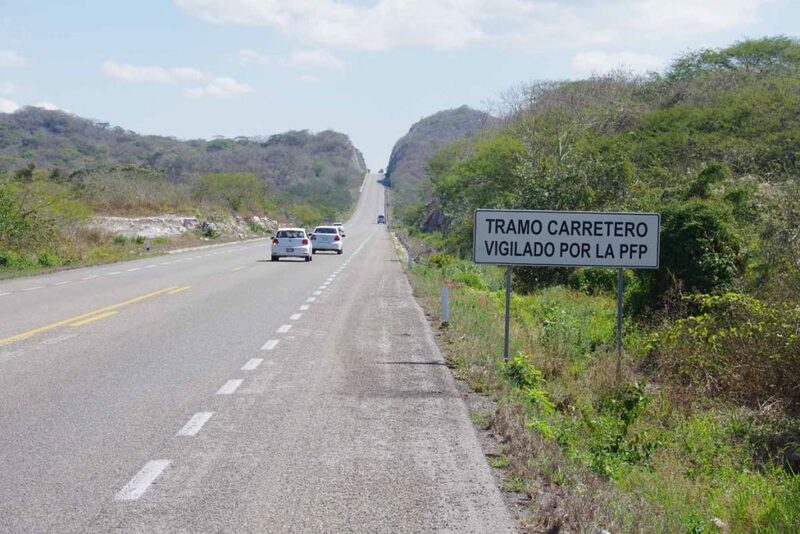 I think PFP is “policia federal preventia”, so one needs to be aware of them since there is road works? 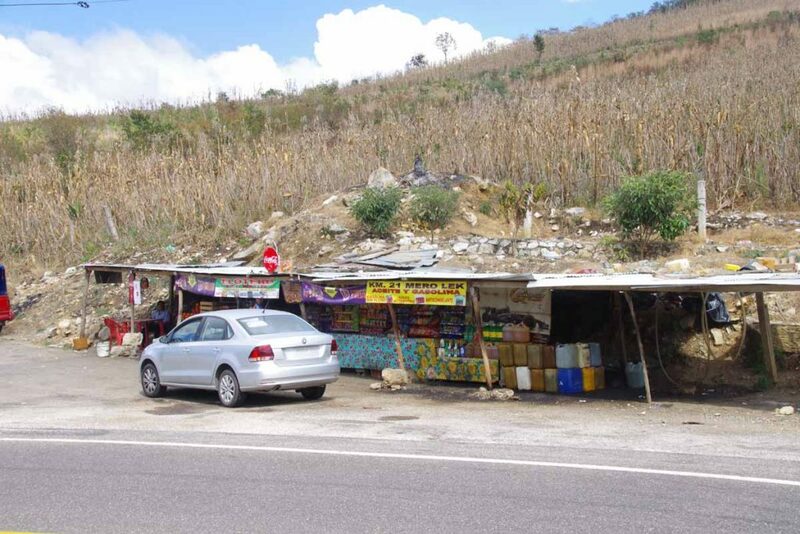 At 40km there was a toll booth and a few kilometers later, one of these small stores and bathrooms. Not much else though and hence we continued to top of the hill at 50km point. 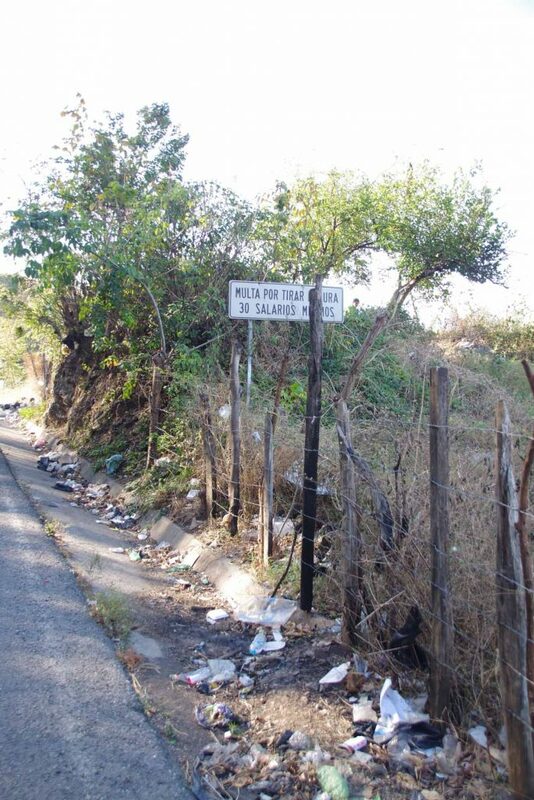 Littering can cost you 90x your daily wage. 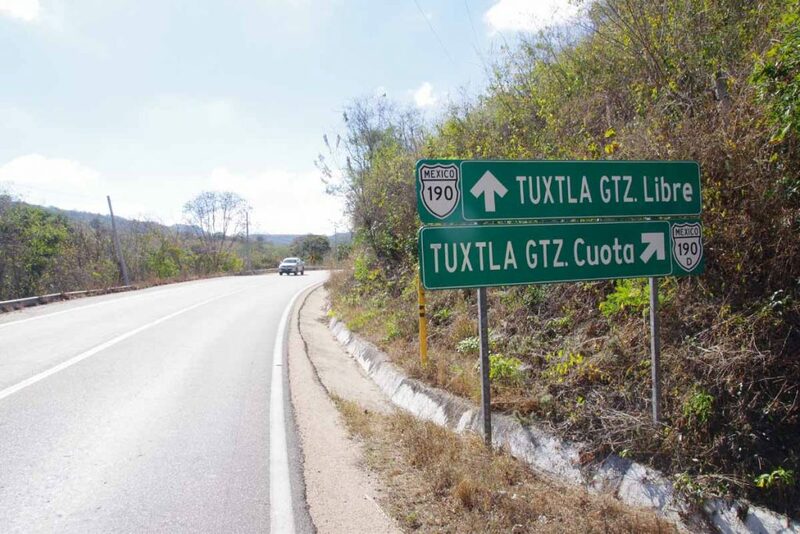 After the 50km mark, we descended 400m (1300ft) to outskirts of Tuxtla Gutierrez. 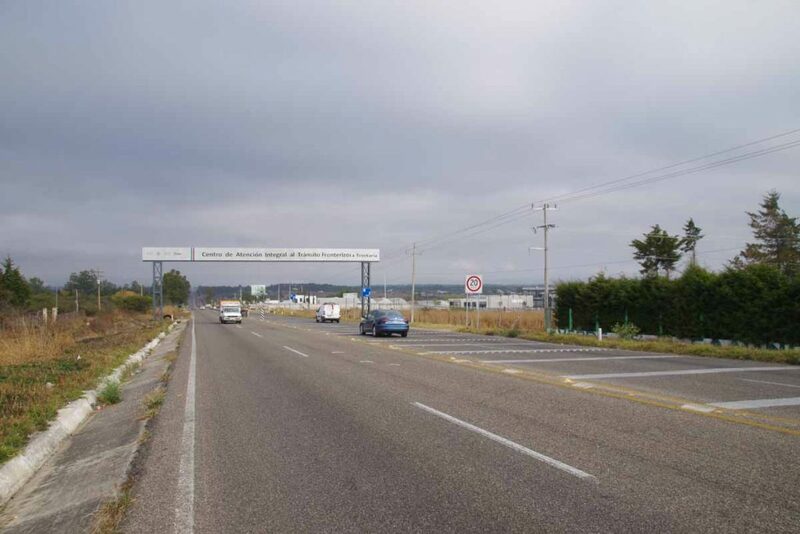 The metropolitan area has ~750,000 inhabitants and we took the main road directly across. The next 20km were rather hectic including a few kilometers of traffic jam due to construction. However, gradually we reached the mid-point and then it became eaiser. There was still some more descent to the Rio Grijalva. 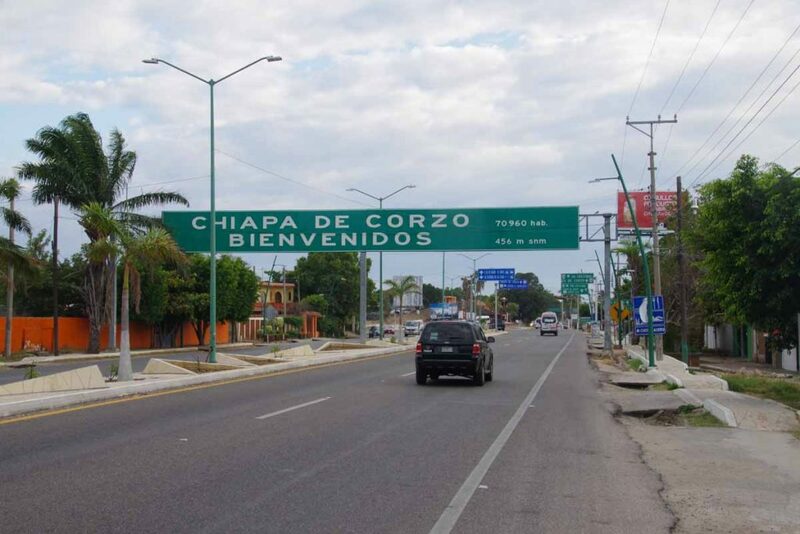 Happy to see the Chiapa de Corzo sign as we turned off the main toll road. 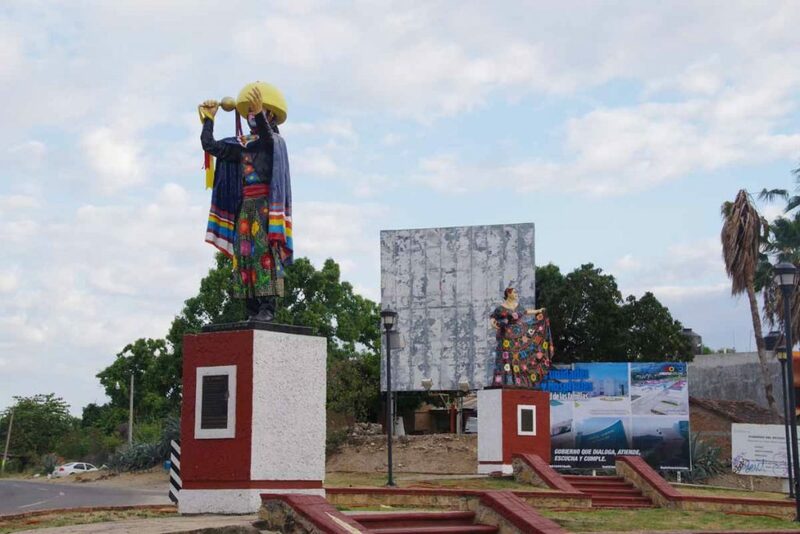 Statues at turnoff to the town welcoming visitors. A bit more about the town. It is a nice little town with a big square. 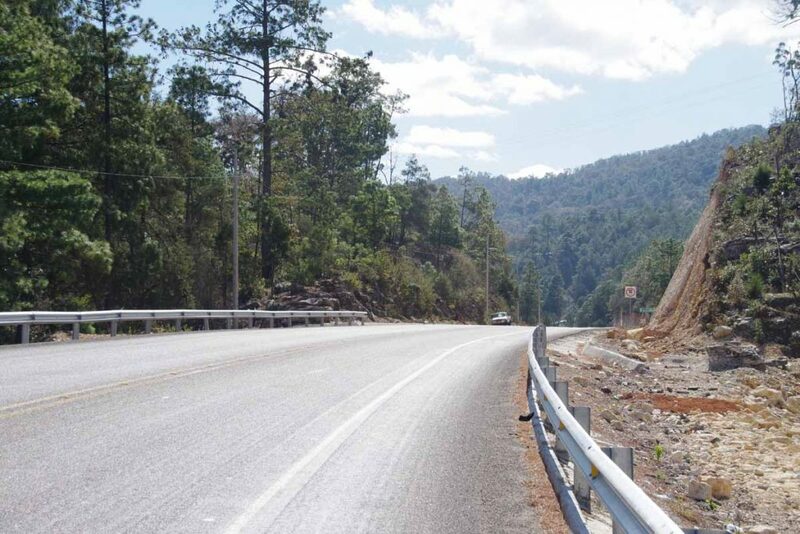 There is a big hill between here and San Cristobal and we’re weighing whether to take a rest day before tackling it. Long ride today, out on the road by 7am and finished after 5pm. 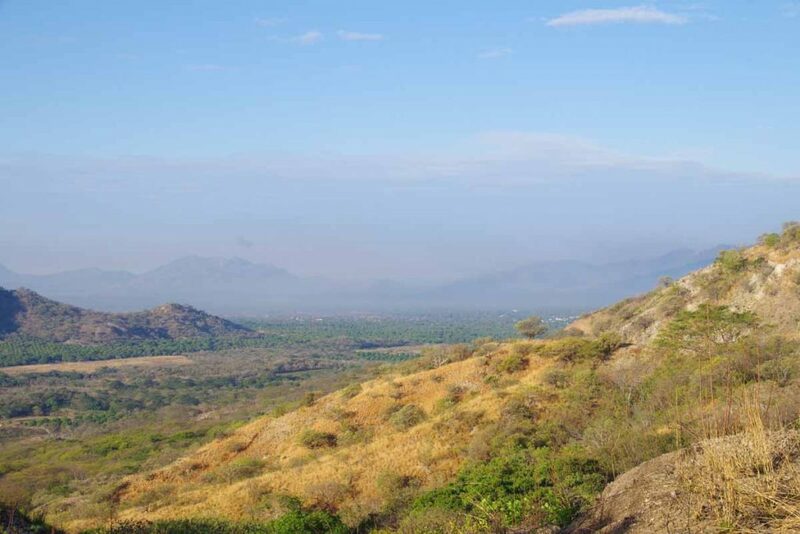 Yesterday afternoon was hot in San Pedro Tapanatepec (~36C or 97F) and our goal was to get on the road early and get in some climbing early. 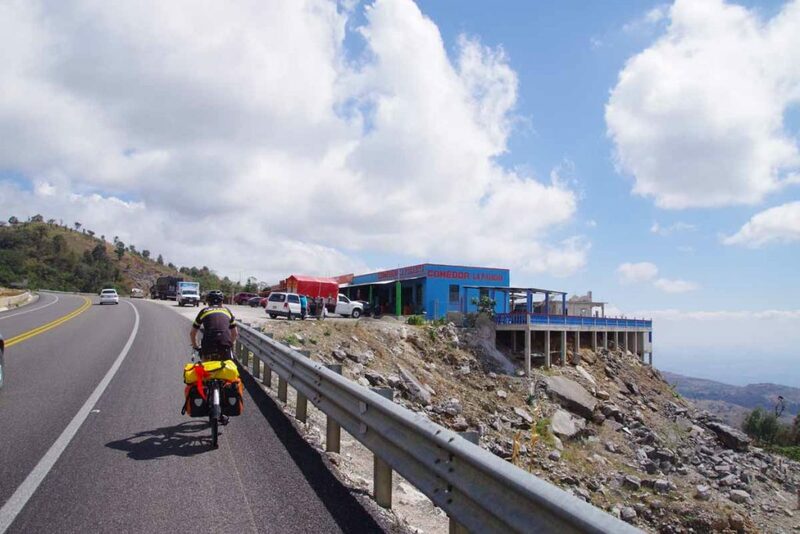 The first 27km were mostly uphill climbing from near sea level to over 800m (2600ft). Photo above was taken on first part of the climb looking back. It was hot and sweat was already dripping off my jersey. However, as we passed 8km, we encountered the first of our winds for the day and that also helped cool things off. It also never got much warmer than 30C (86F) that we reached on that first climb. It was a slow and long climb and somehow wasn’t feeling 100%. However a cookie break at 15km definitely helped. 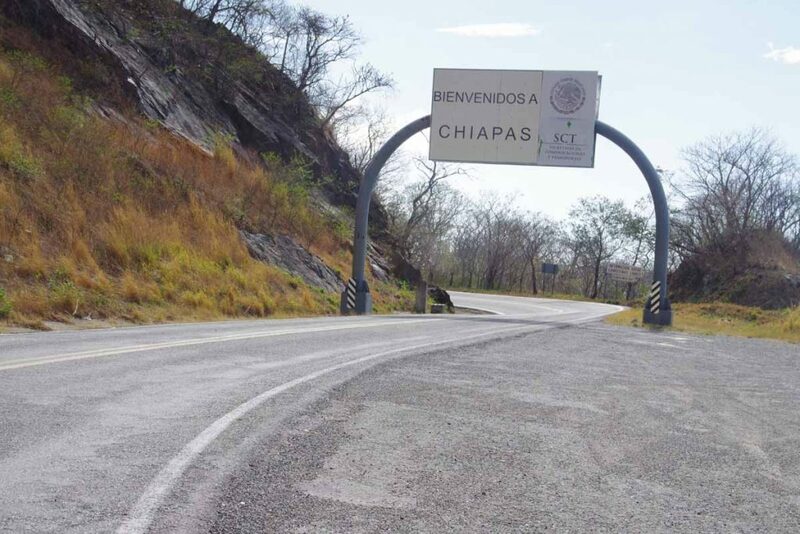 Not much after that we crossed into Chiapas, the 11th state I’ve visited in Mexico. Translation: The bridge along the curve of the wind. Our route was through some notoriously windy areas and we also had intermittent headwinds on the climb. They became stronger on the second half of the day after we were on the plateau. 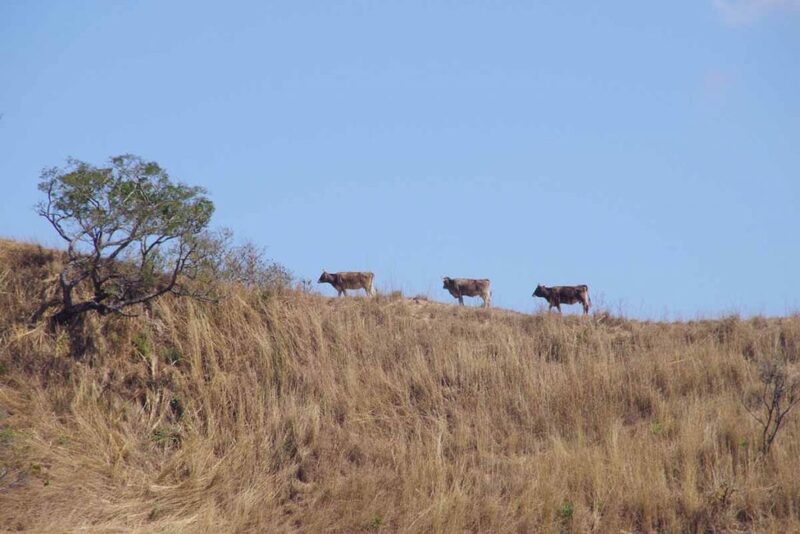 These cows were walking along the ridge line at crest of the hill. Hooray, our biggest climb was over. However, in total today had 1300m of climb but we ended up only 500m higher than we started, so there were plenty of hills in second half of the day too…just that we would climb and descend and repeat. We stopped in and had a filling lunch. I also had plenty to drink and still didn’t feel wonderful. Across the way, the tortilla shop was doing a good business. Photo above is a good summary of the next 50km through our afternoon. The roads were generally straight, narrow and went up and down across some hills. There was also a wind coming from left front side and the wind became stronger as the day went on. 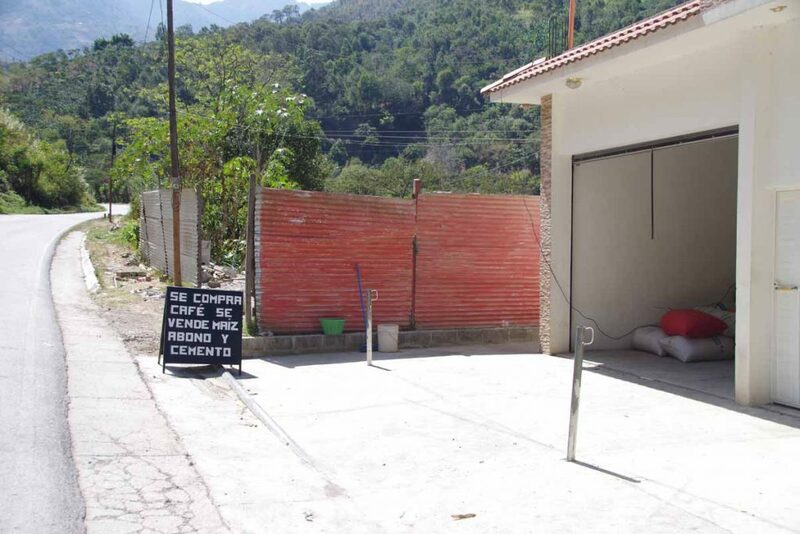 At 60km, we stopped at a nice little restaurant for a break and after this cycled the last 20km into Cintalapa. 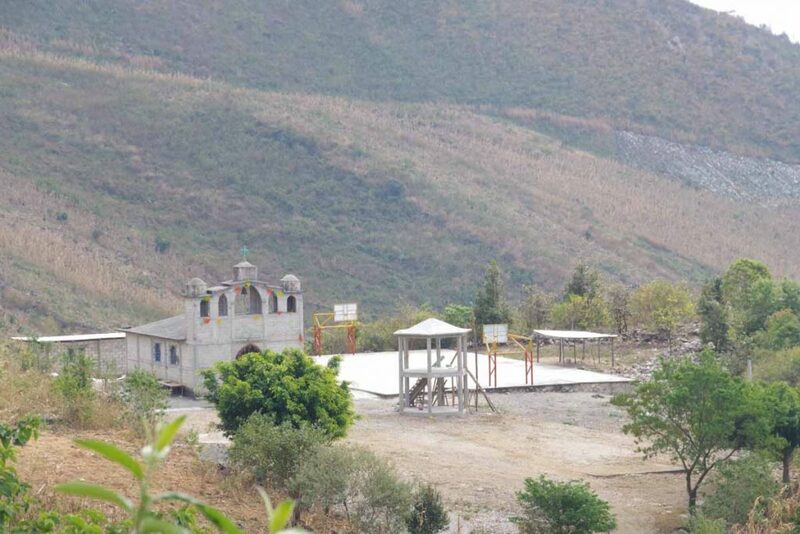 This was the church in the last village before the city. We arrived after 5pm. The city was busy including people on horseback and many people walking. 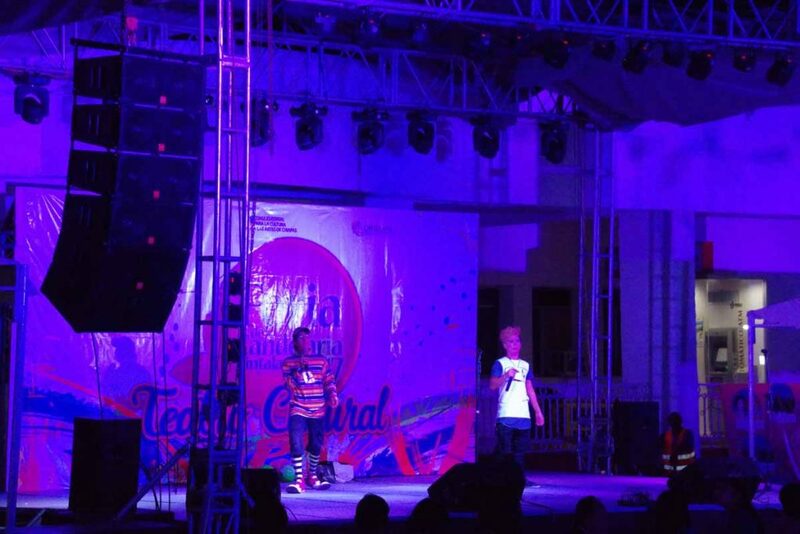 We discovered there was a big street festival going on. The first hotel we tried was all booked up. Second one only had one room with one bed. Third one was on the square in extremely noisy location. Eventually we circled back and picked our best alternative. Overall, today ended up being quite long on the road with a lot of climbing and a fair amount of headwinds. Hence, it was nice to finally get settled in a room and relax.